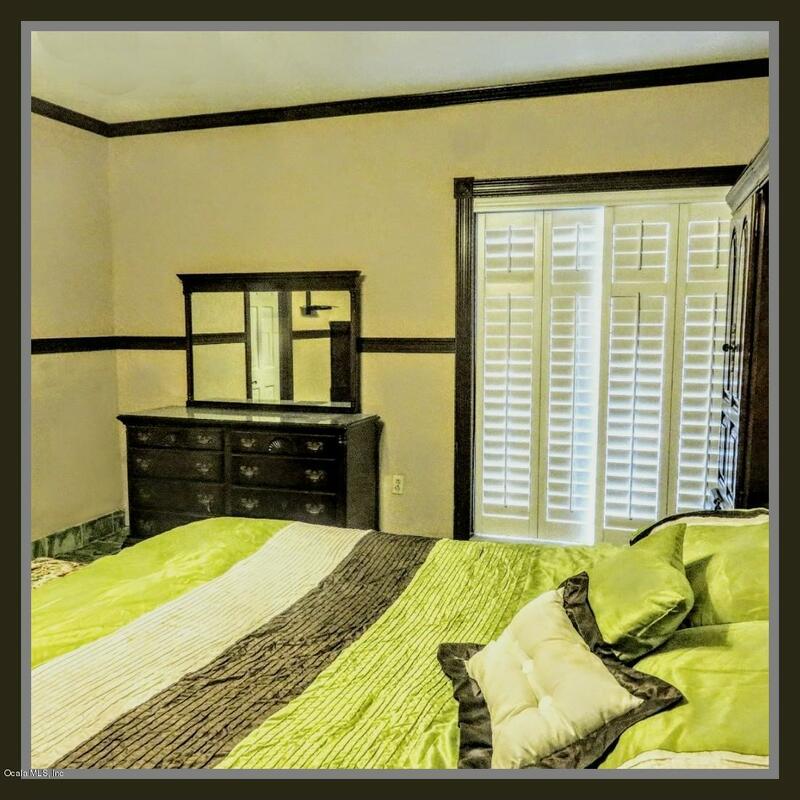 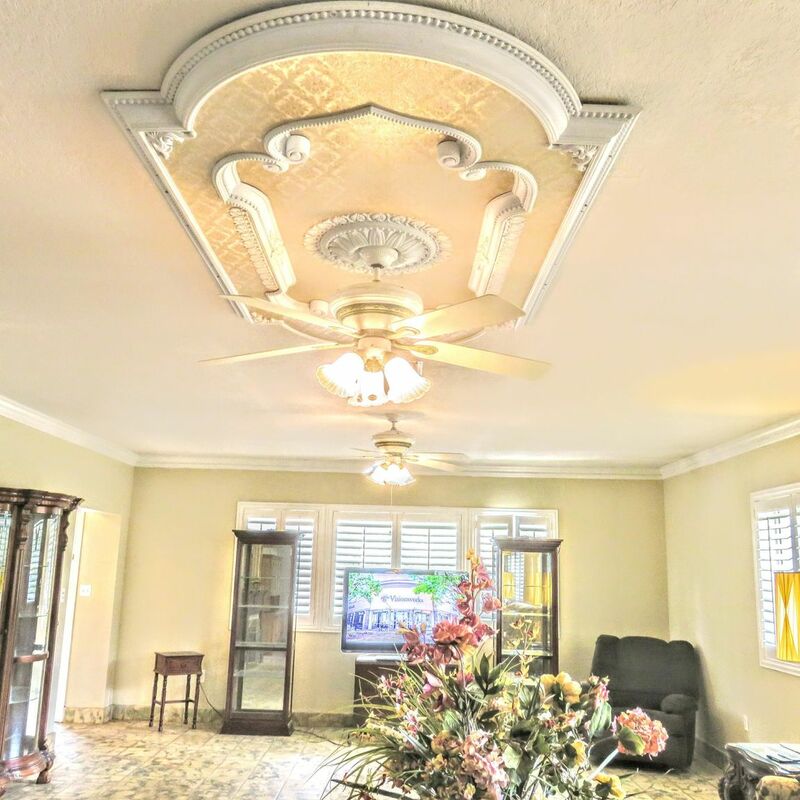 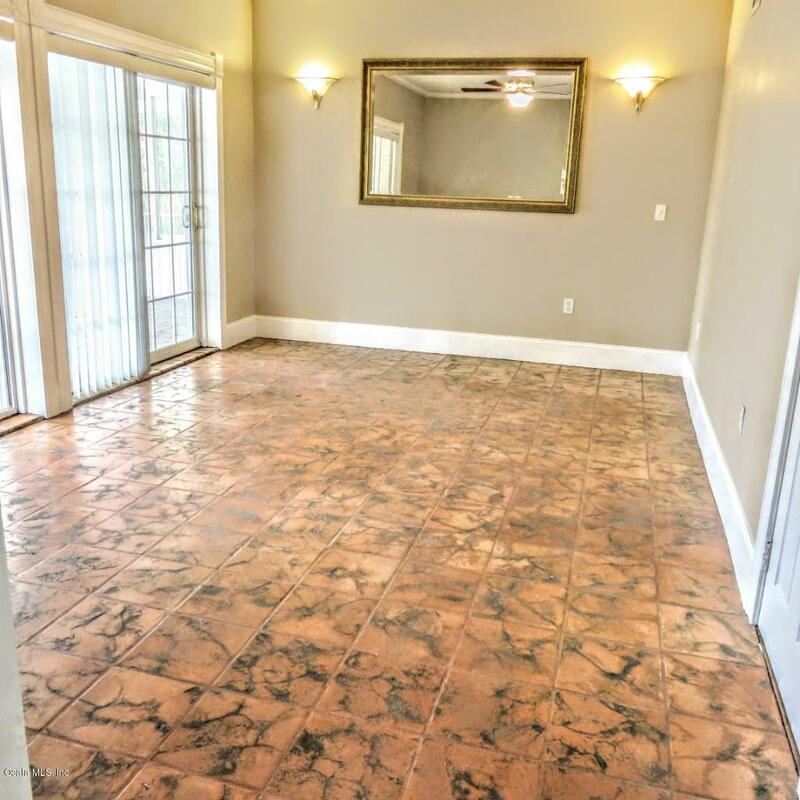 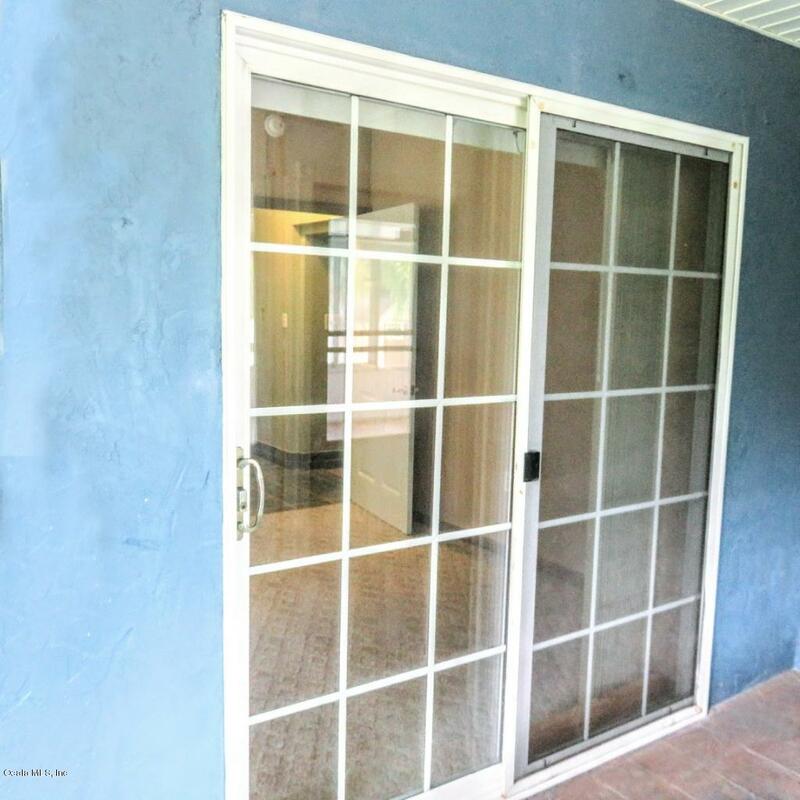 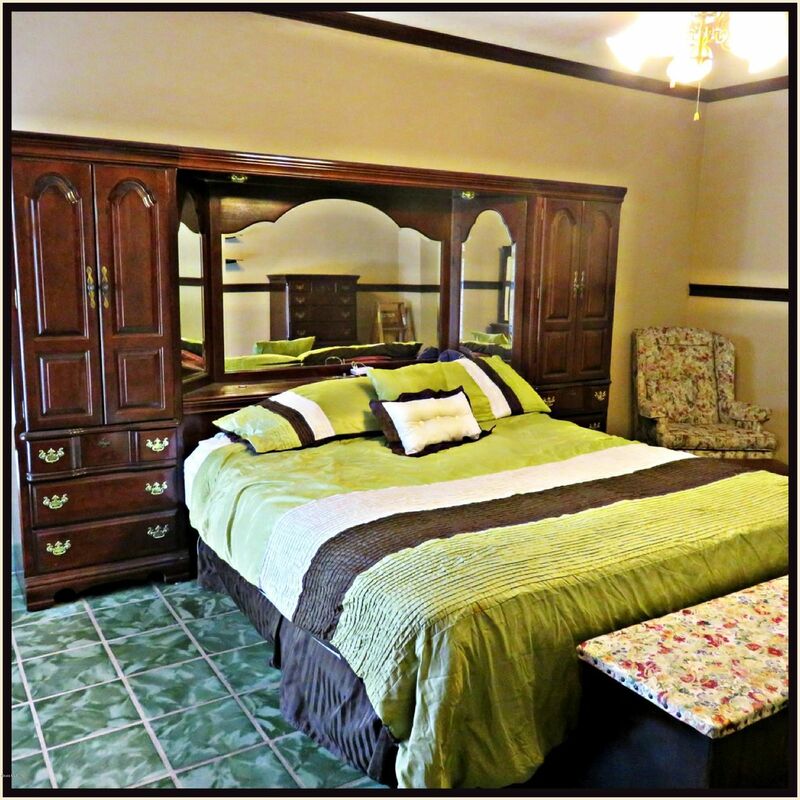 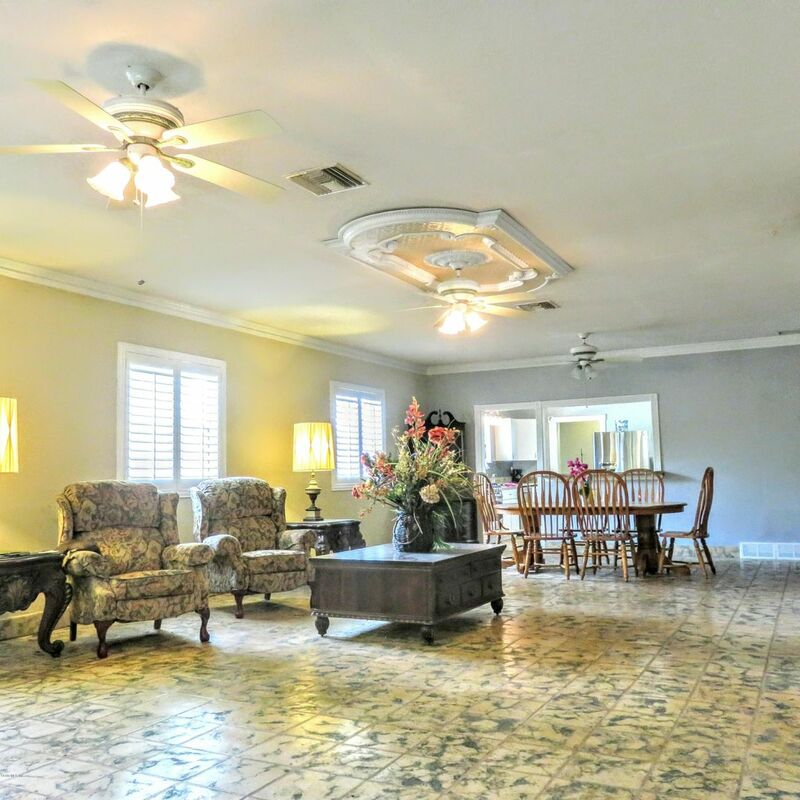 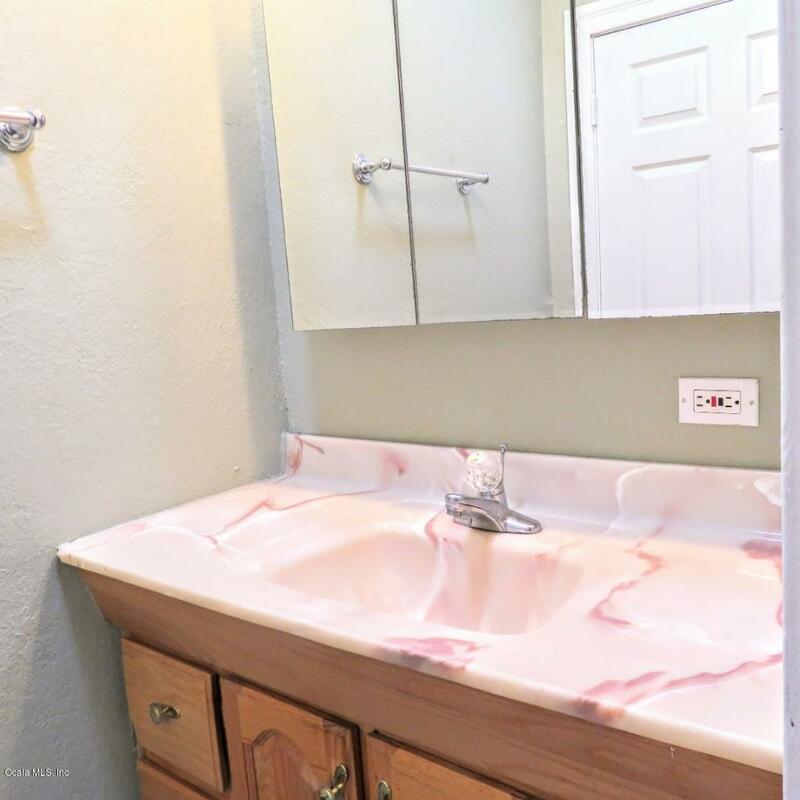 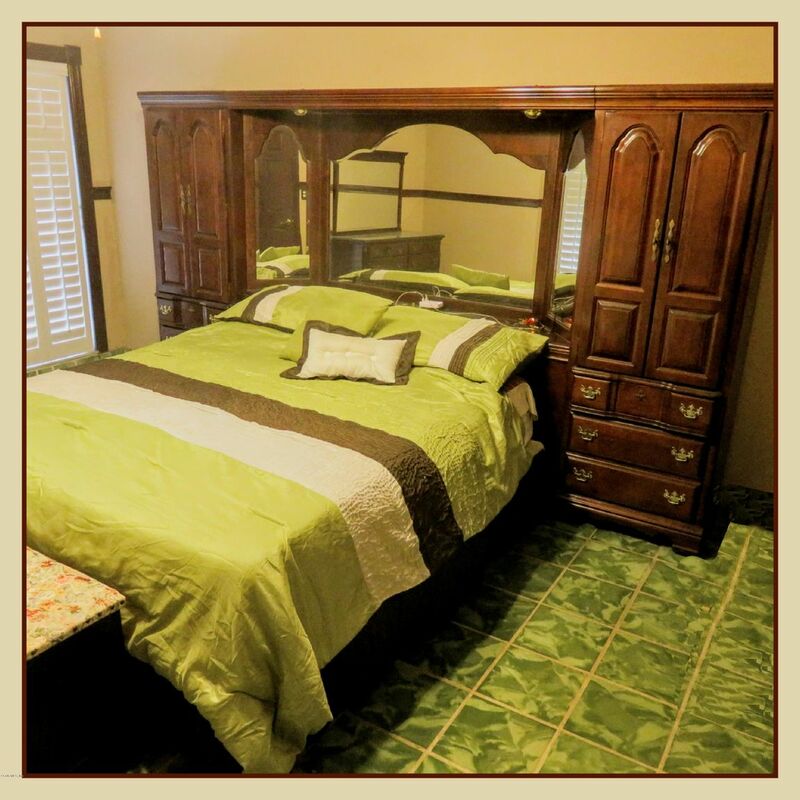 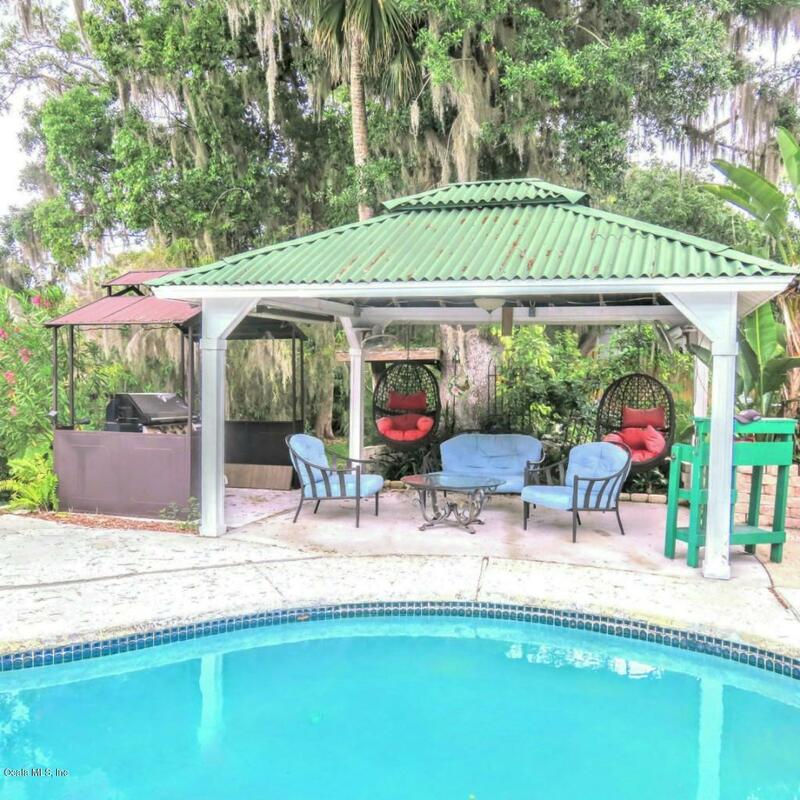 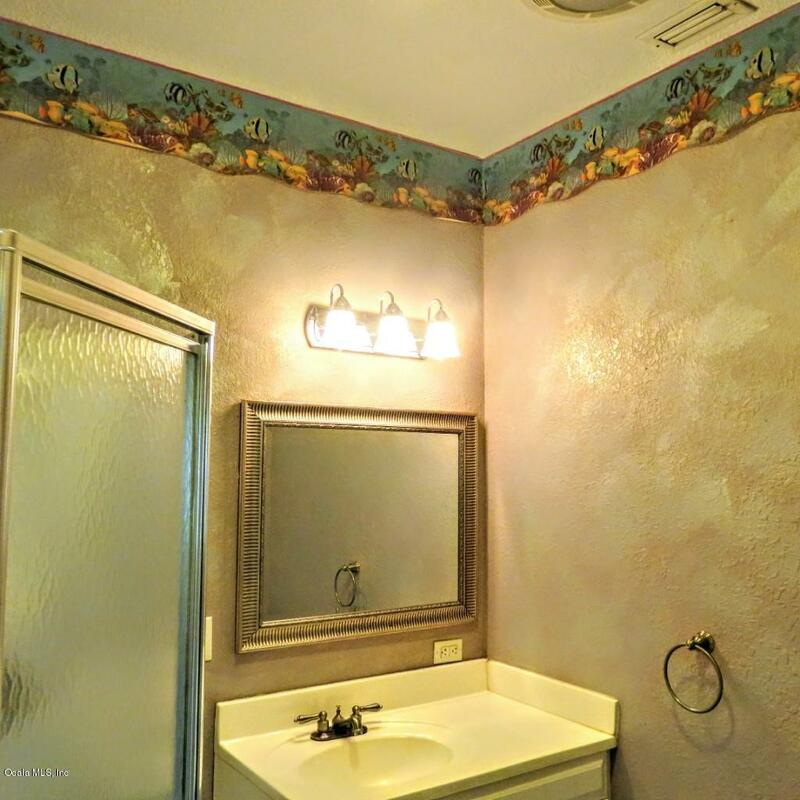 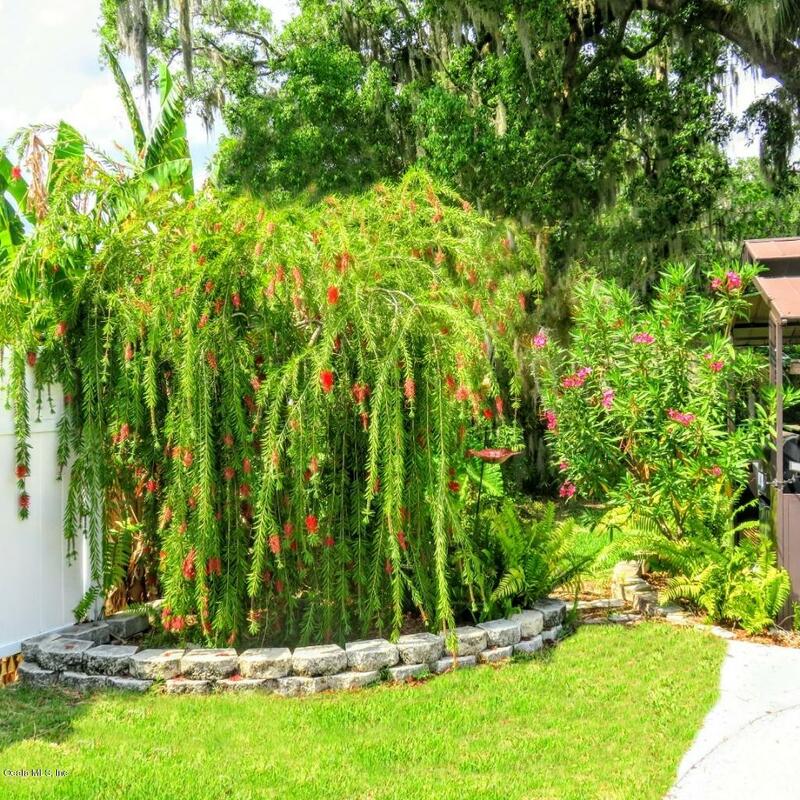 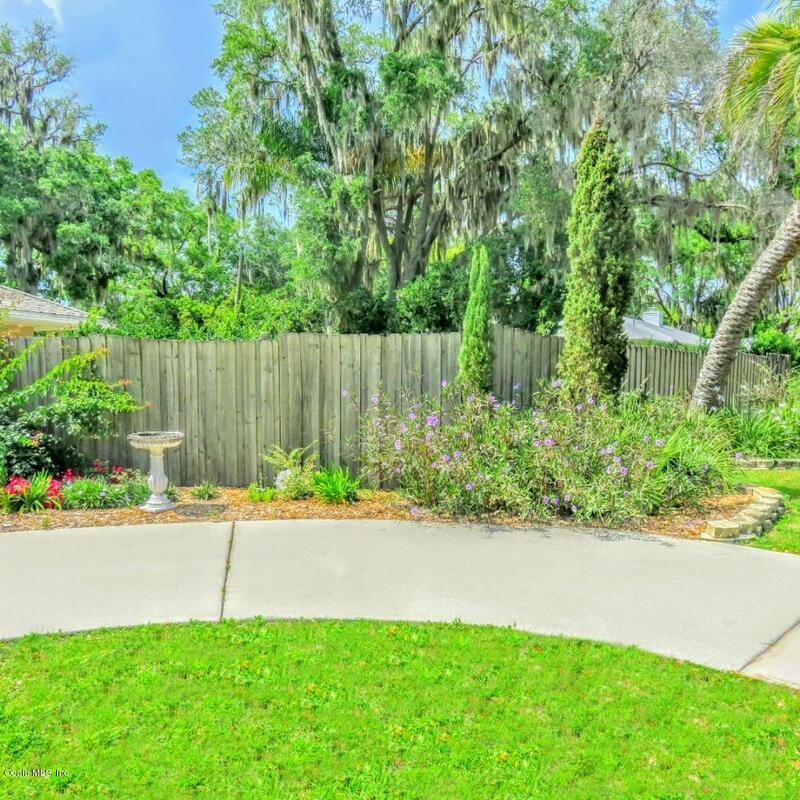 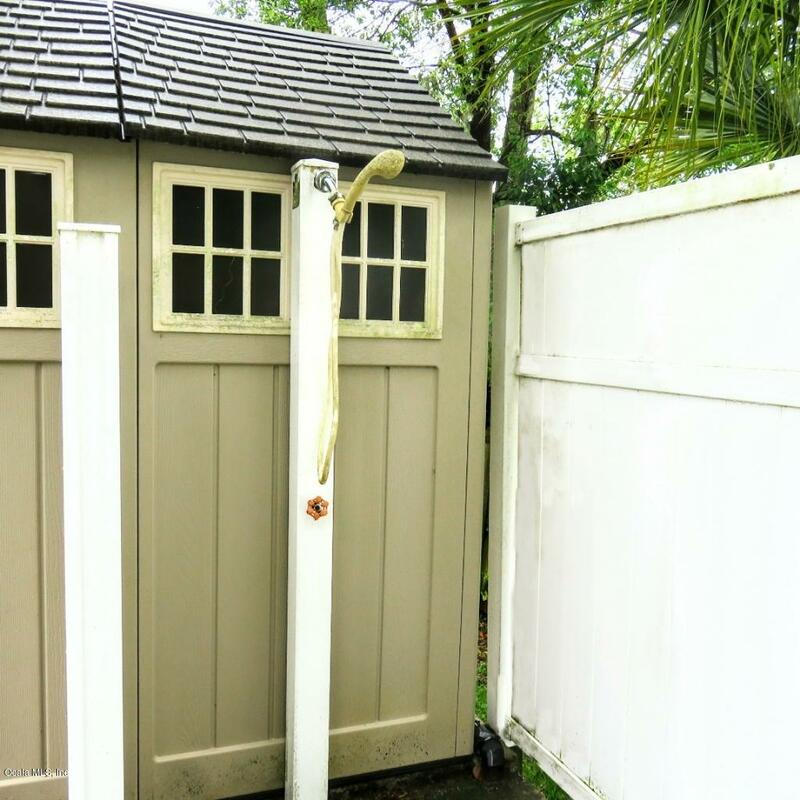 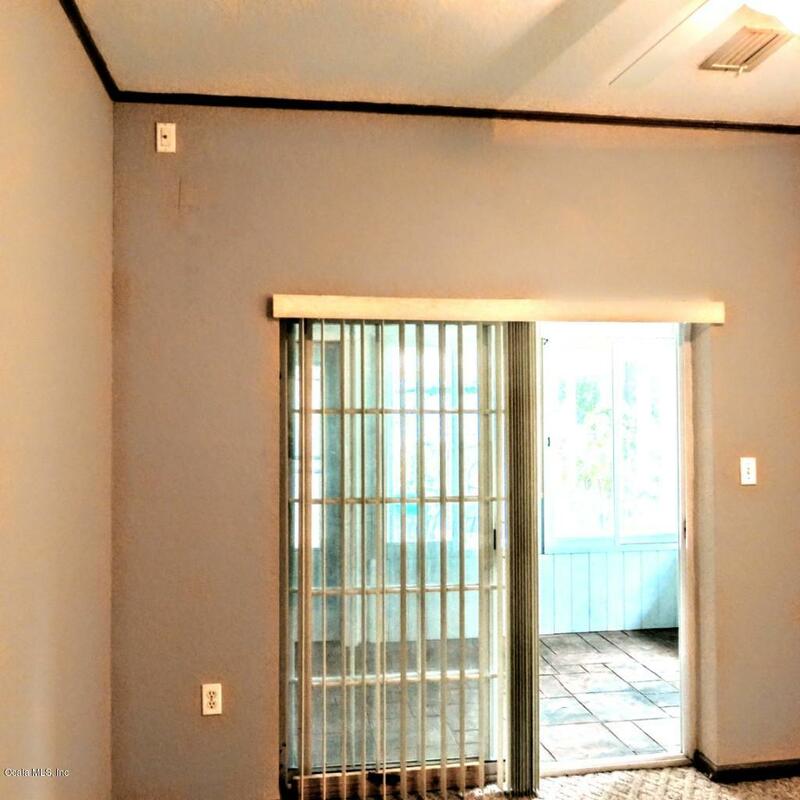 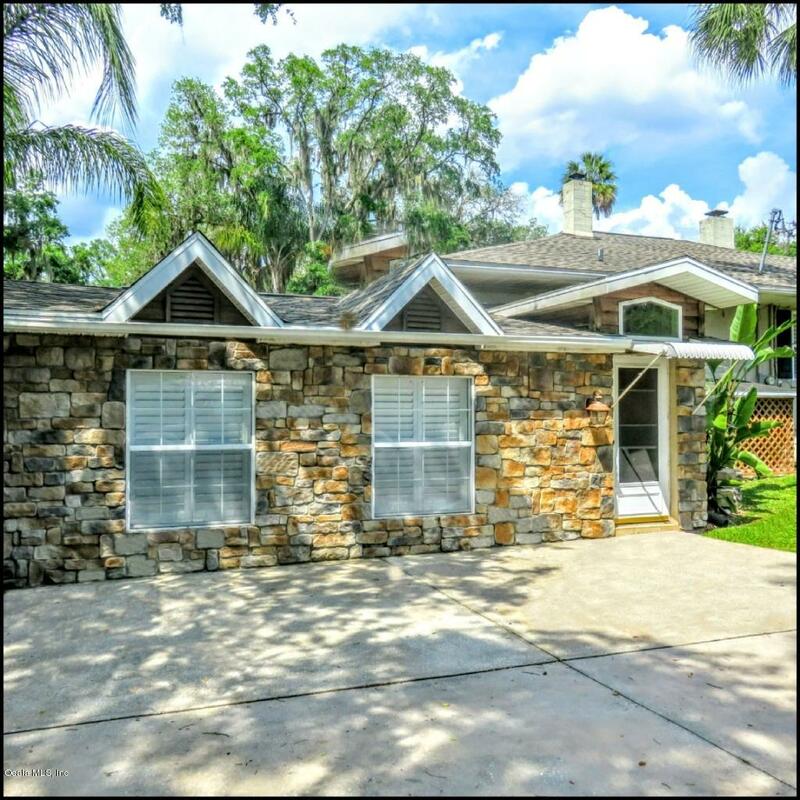 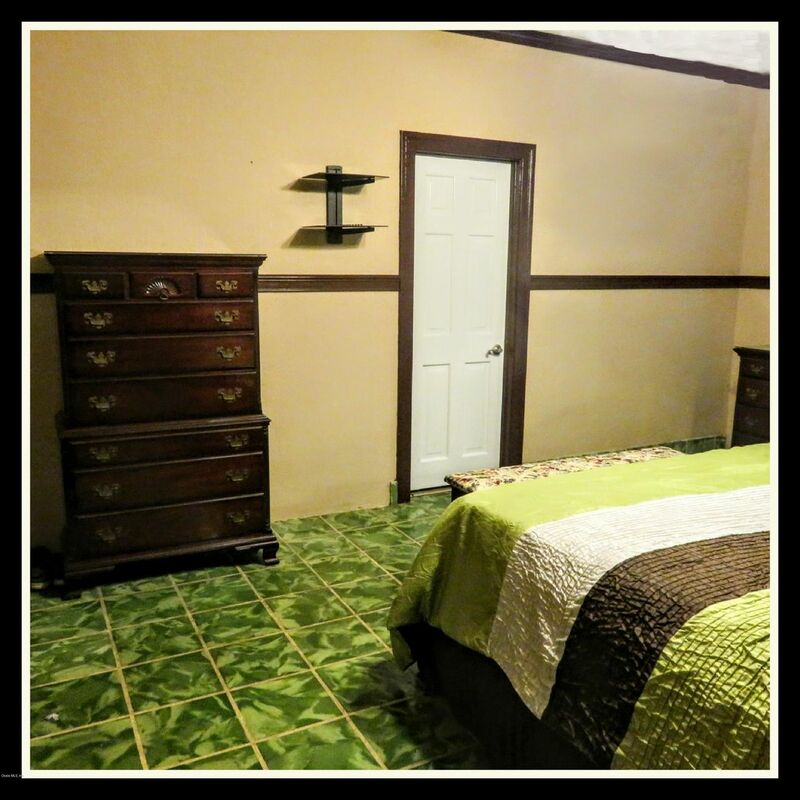 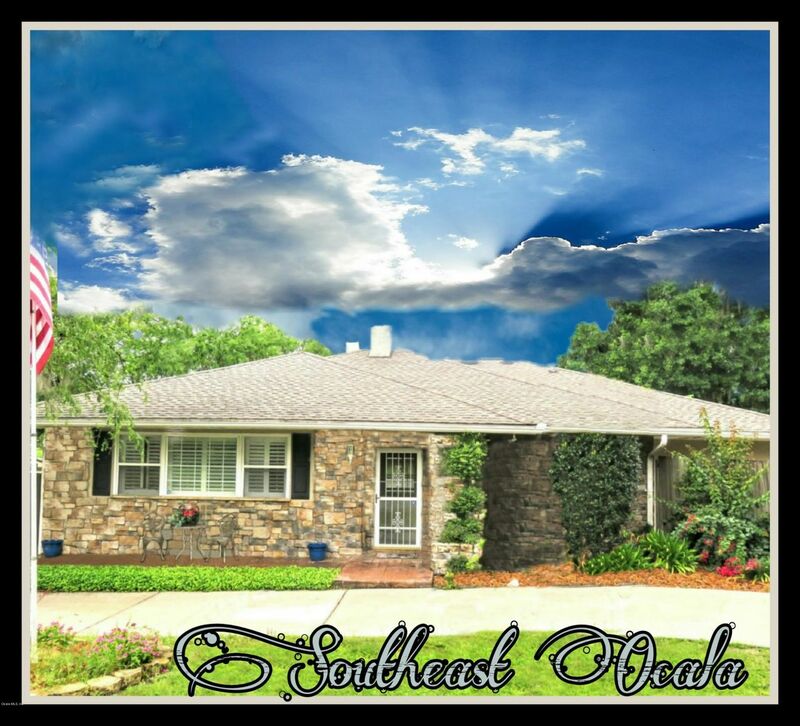 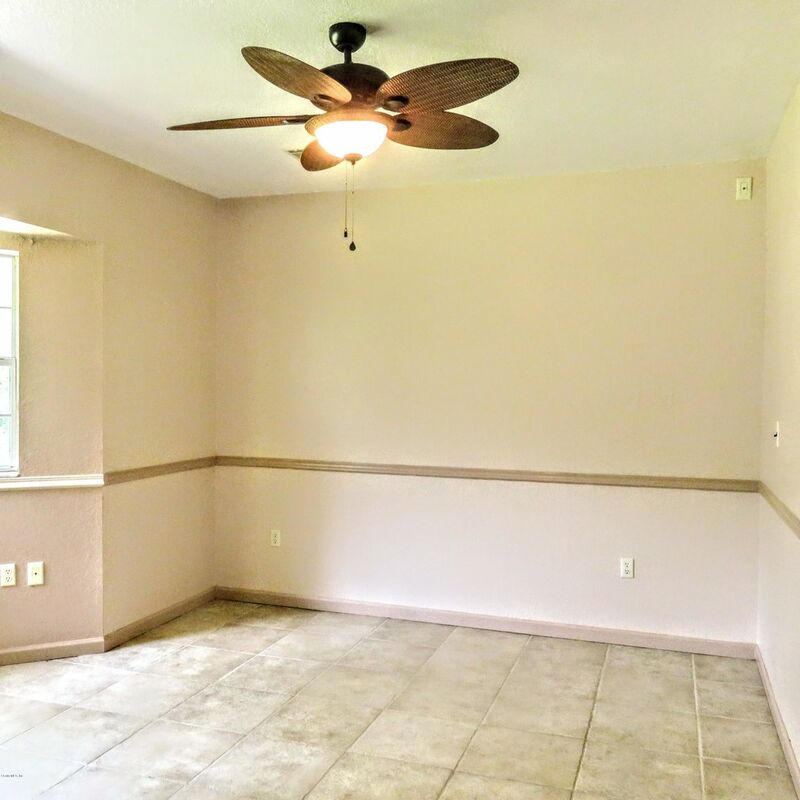 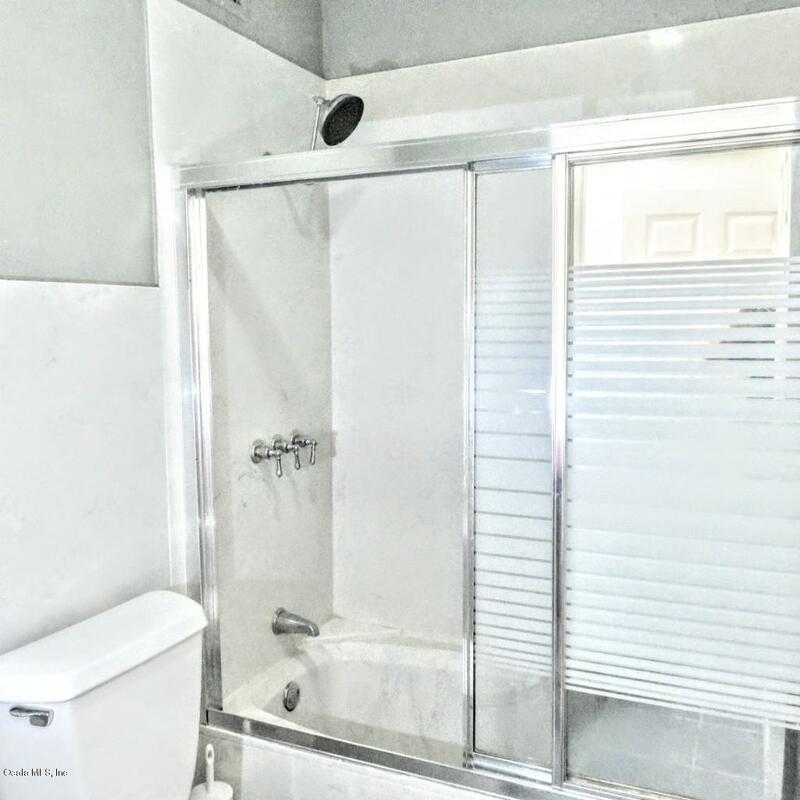 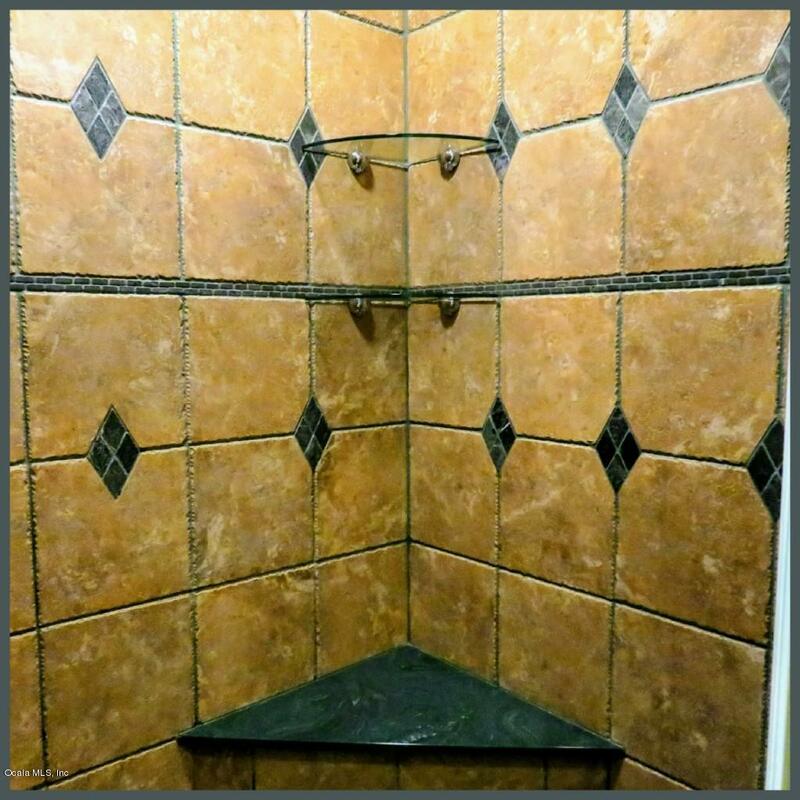 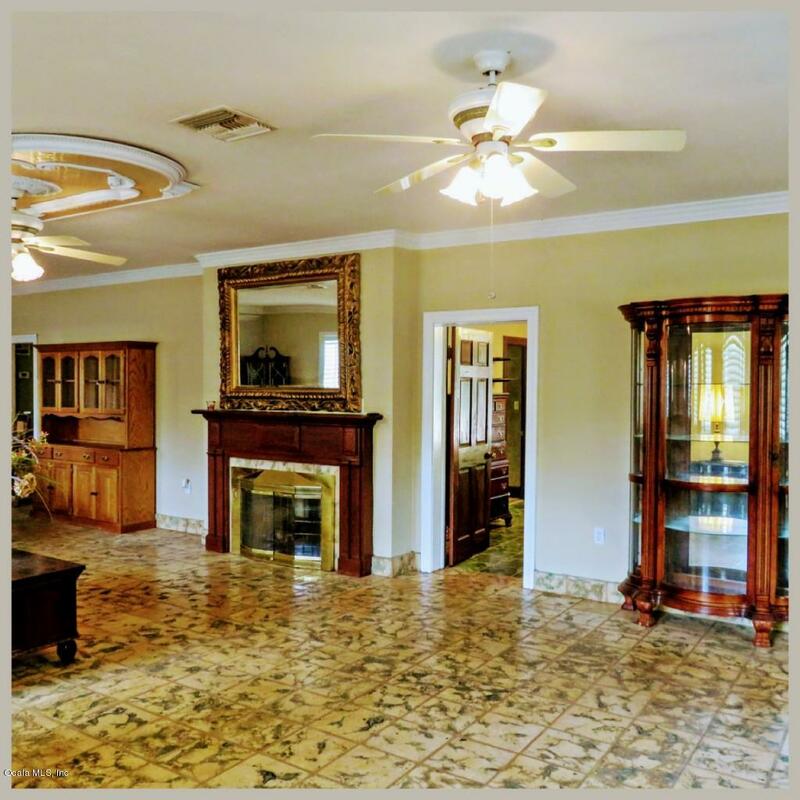 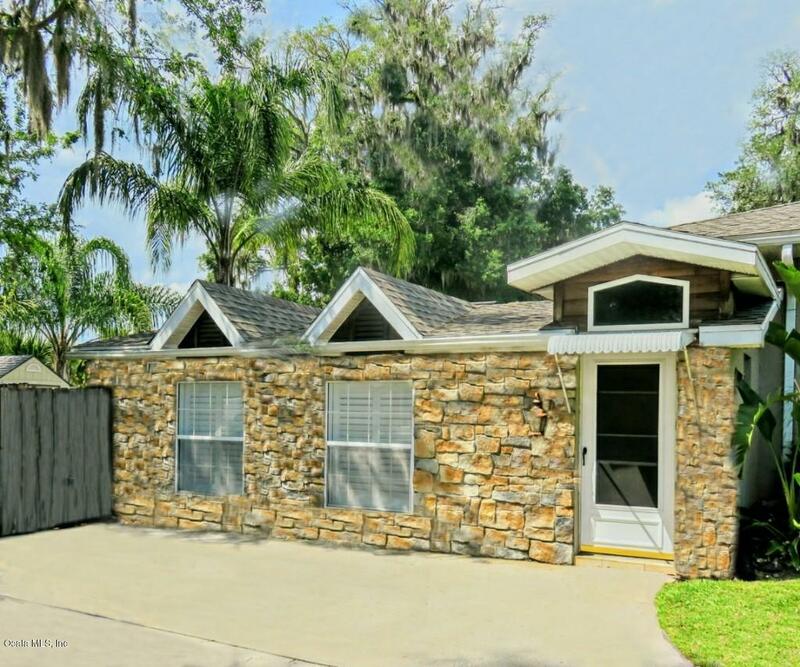 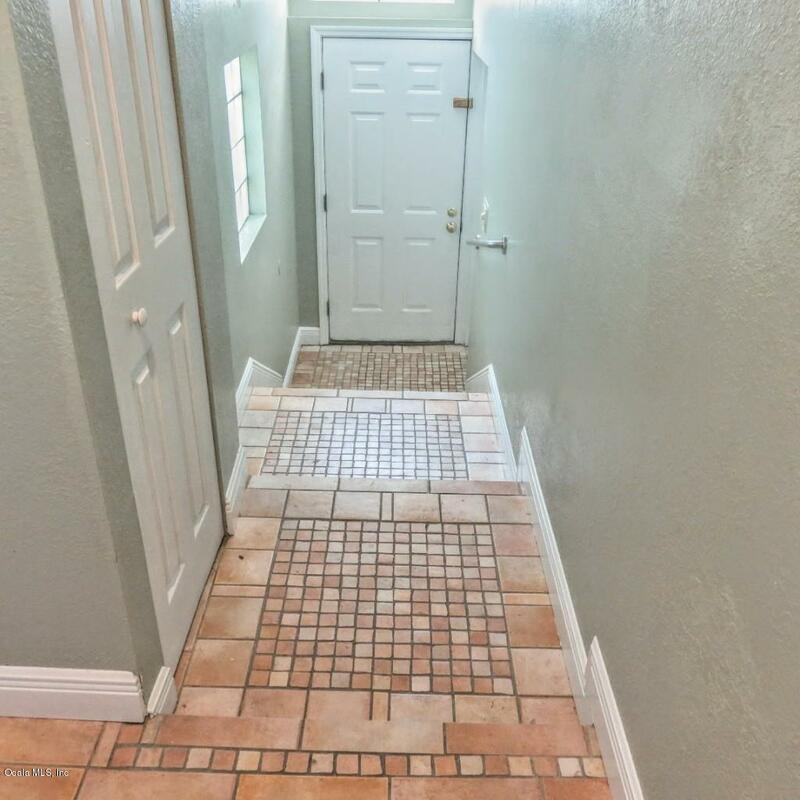 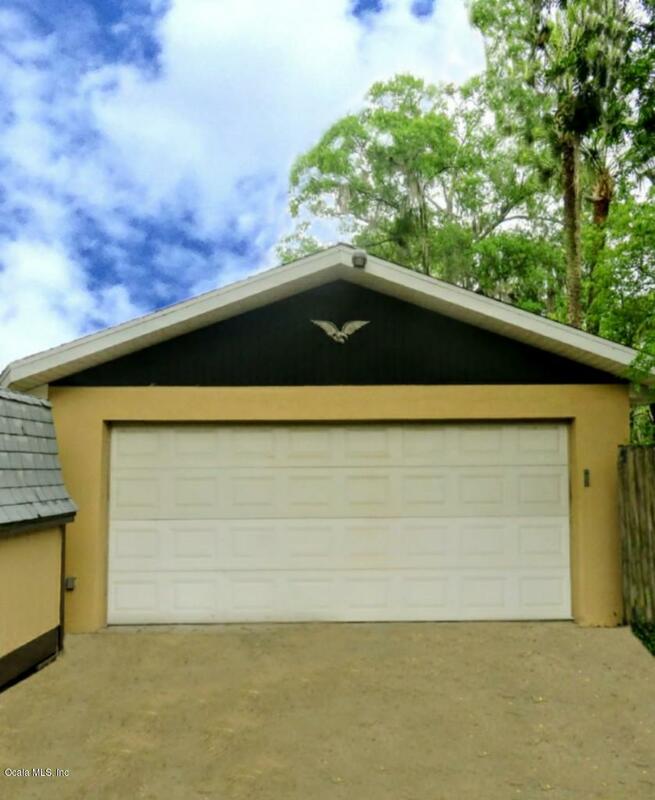 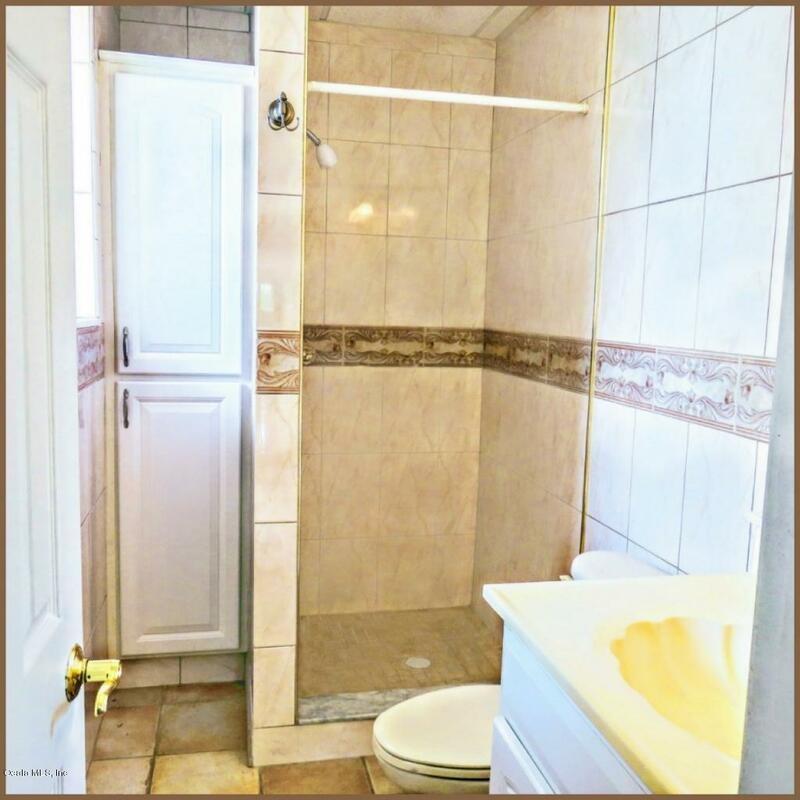 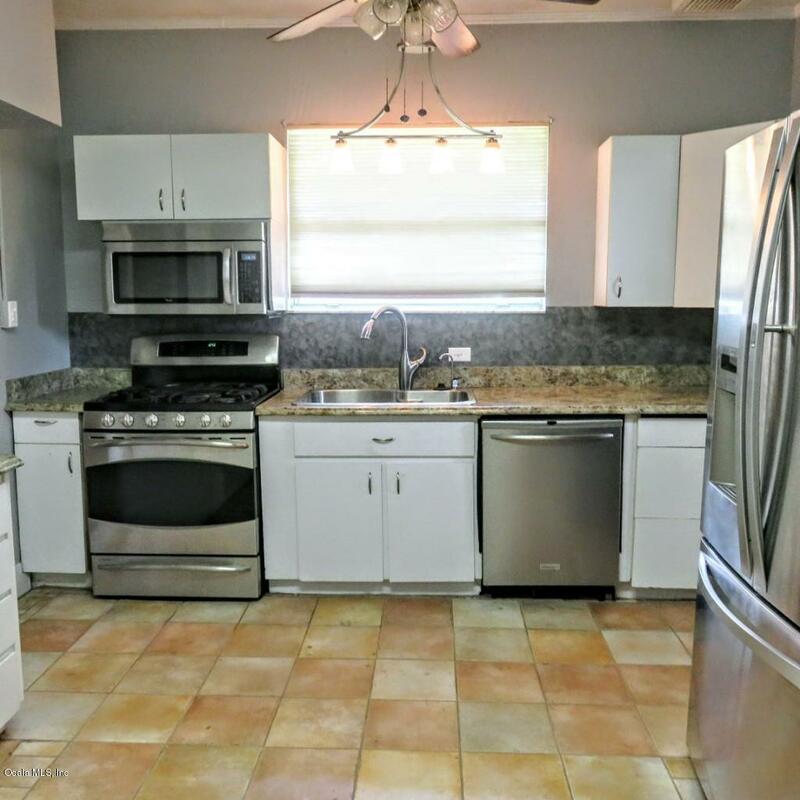 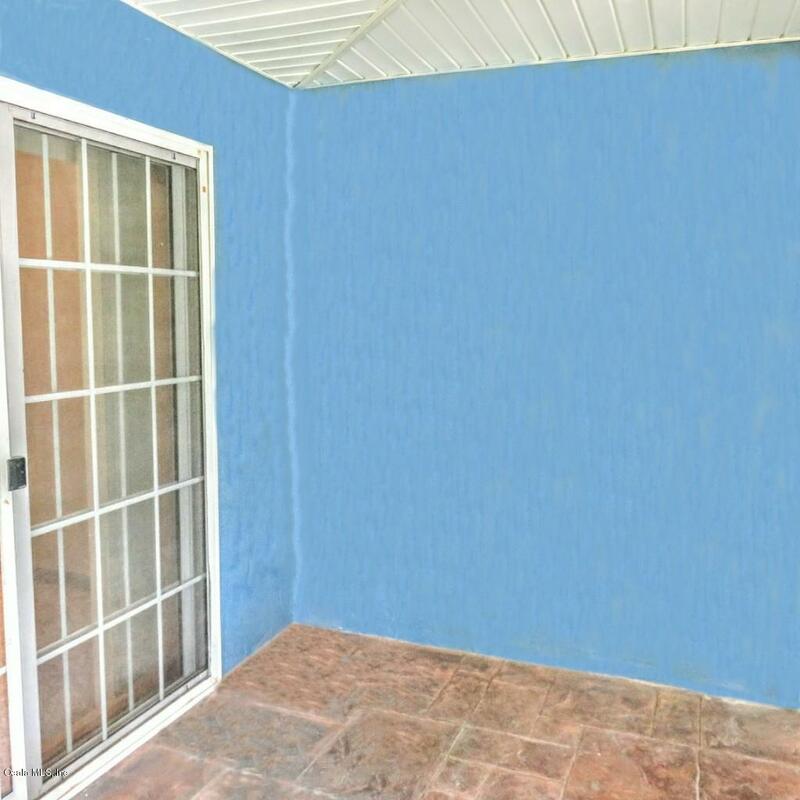 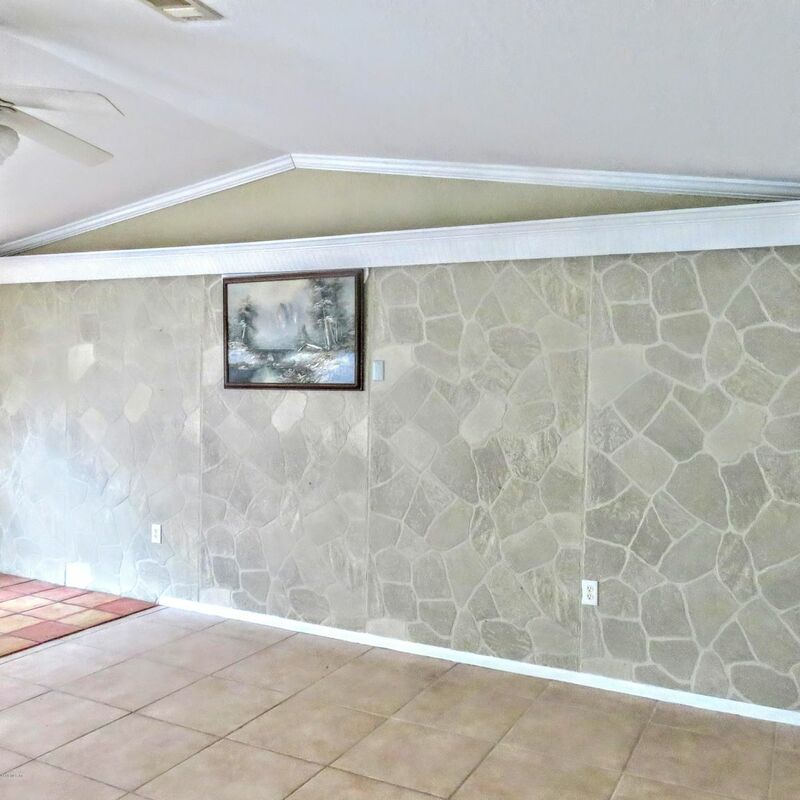 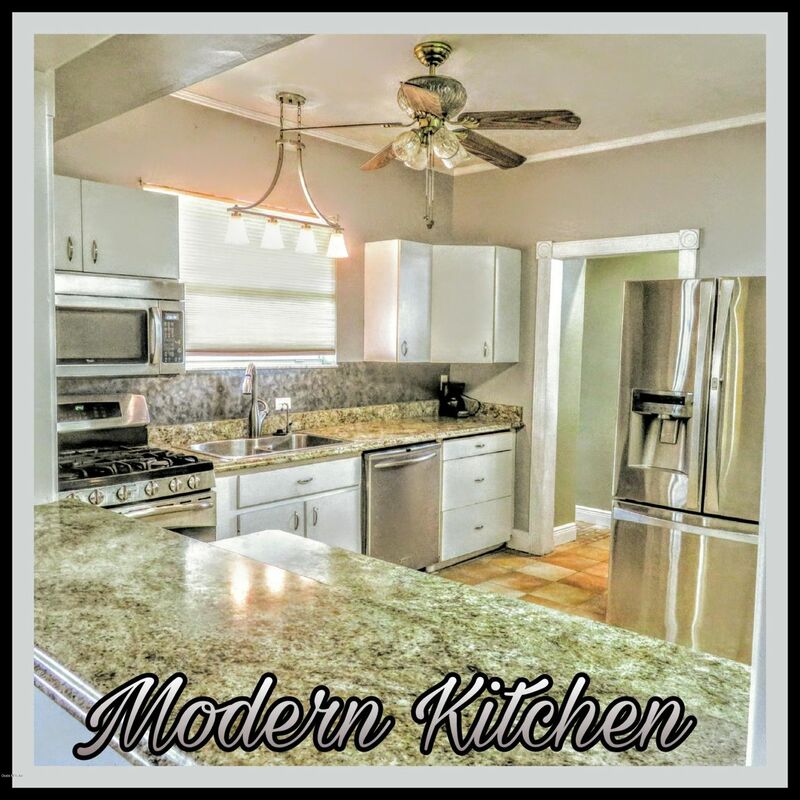 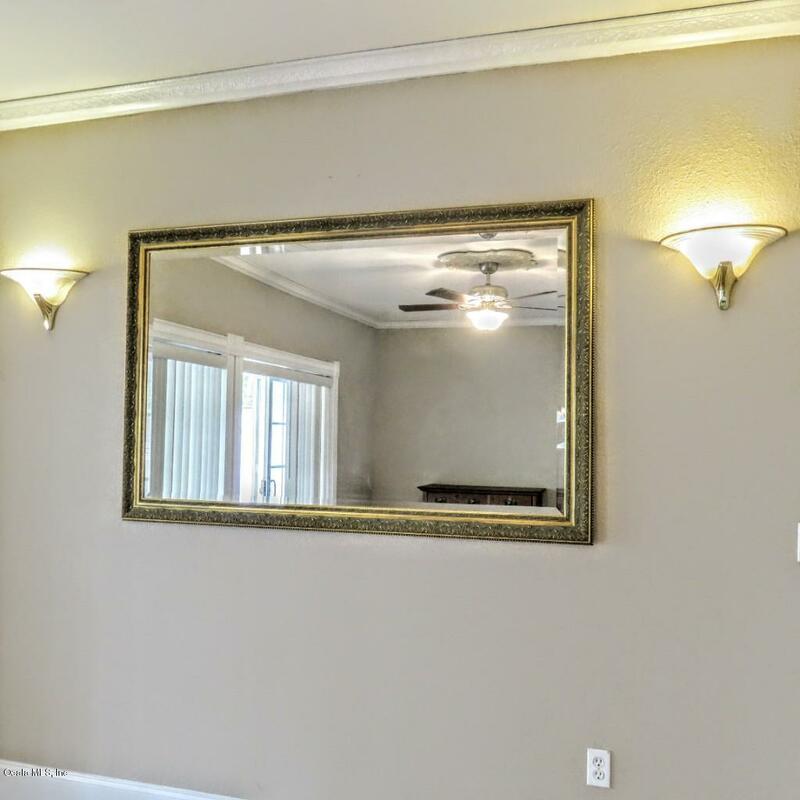 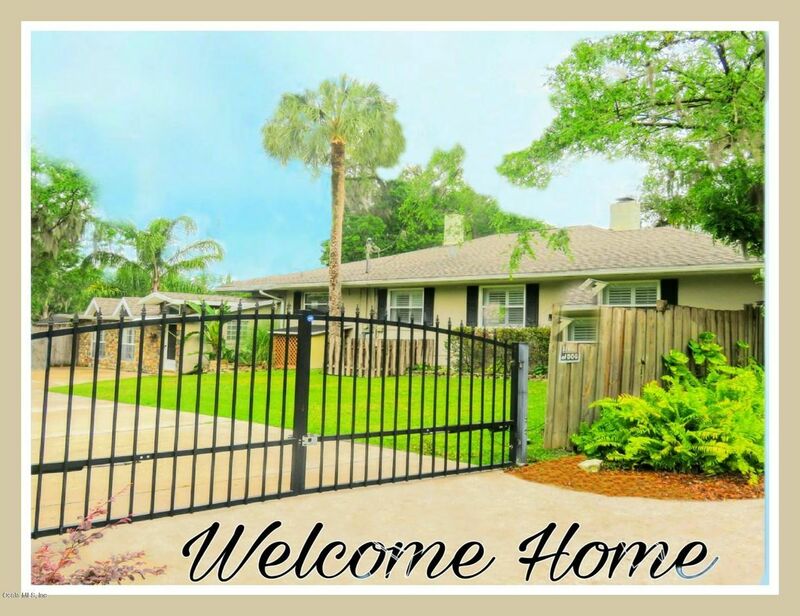 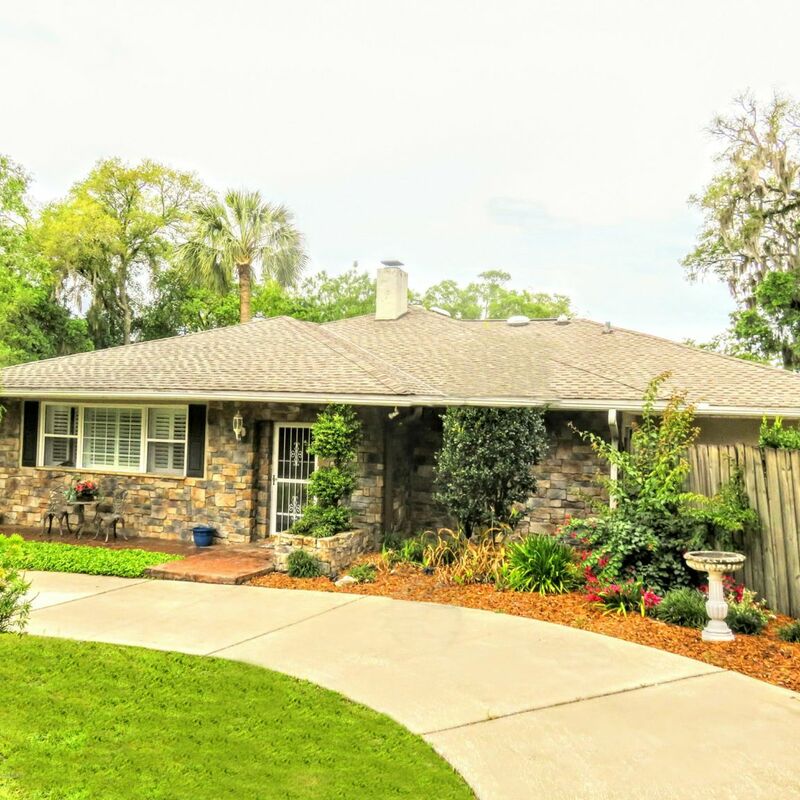 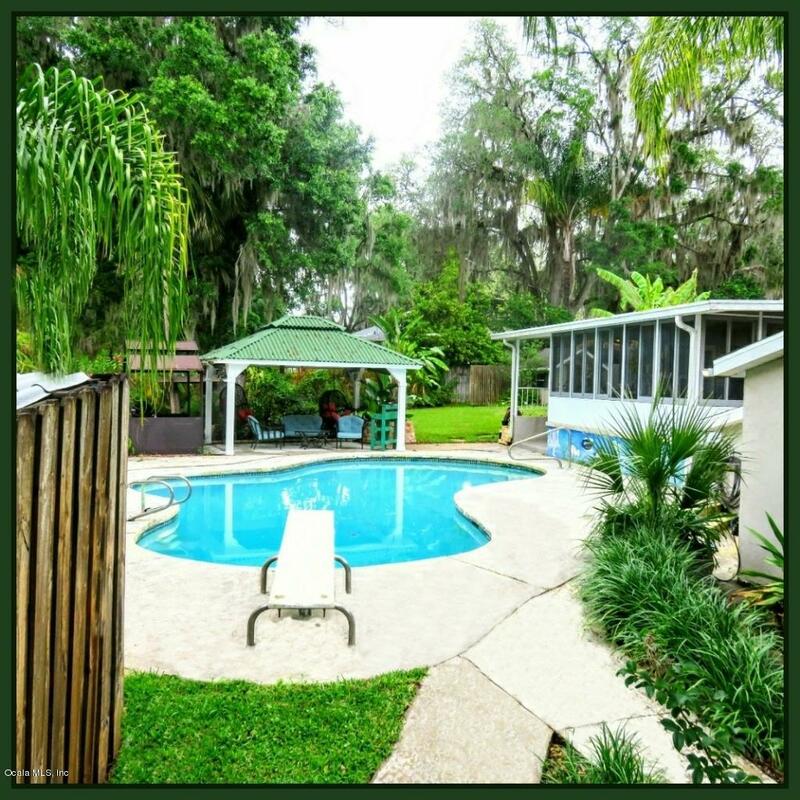 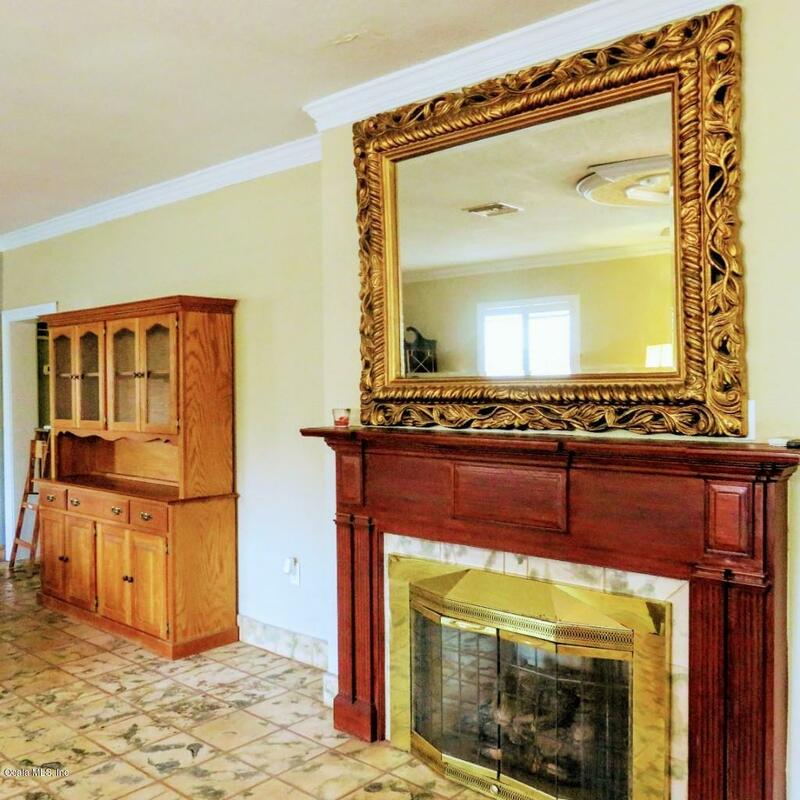 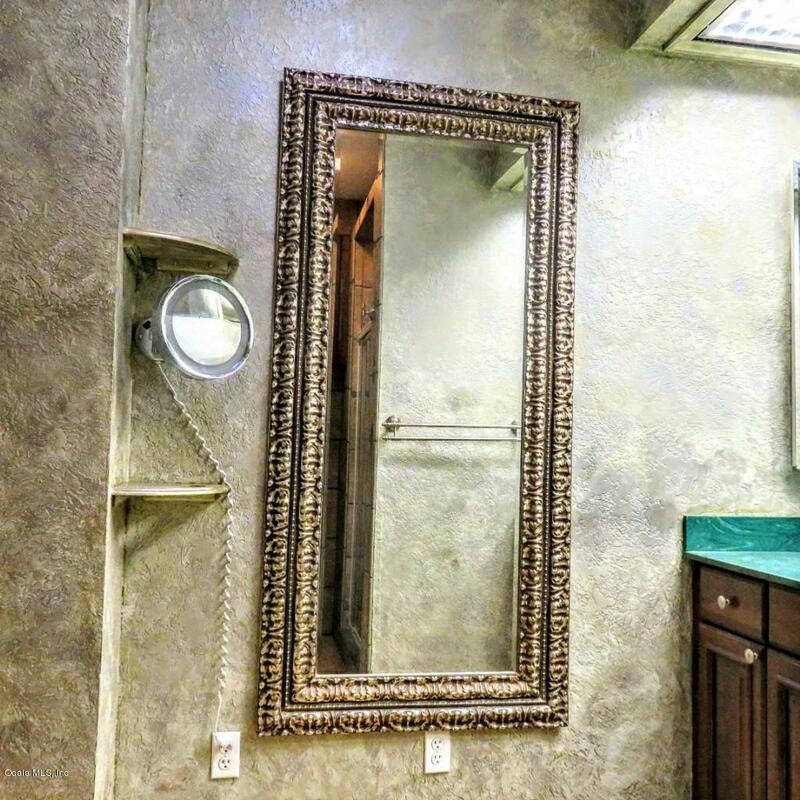 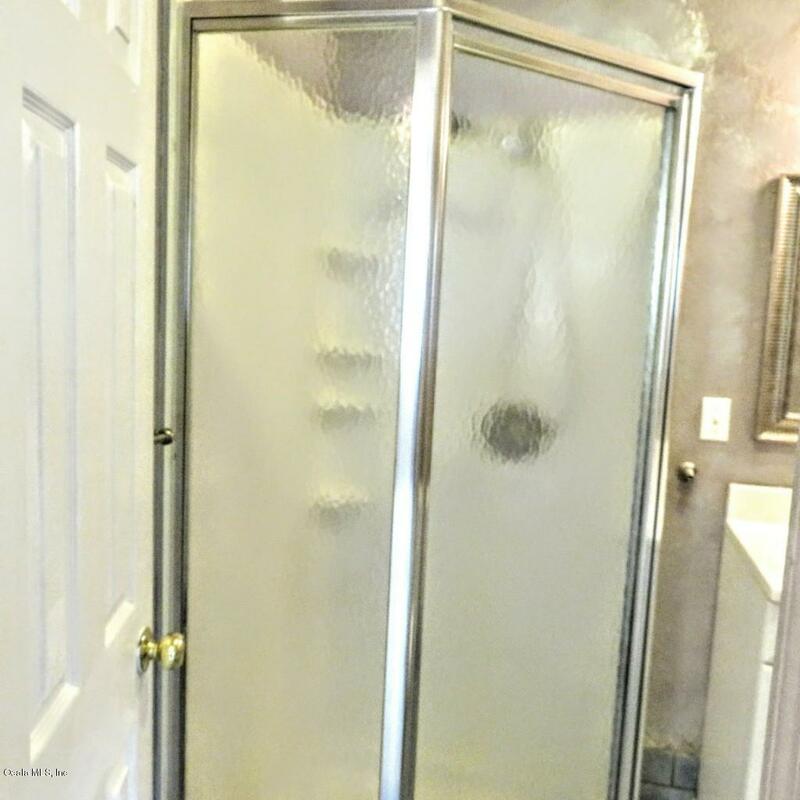 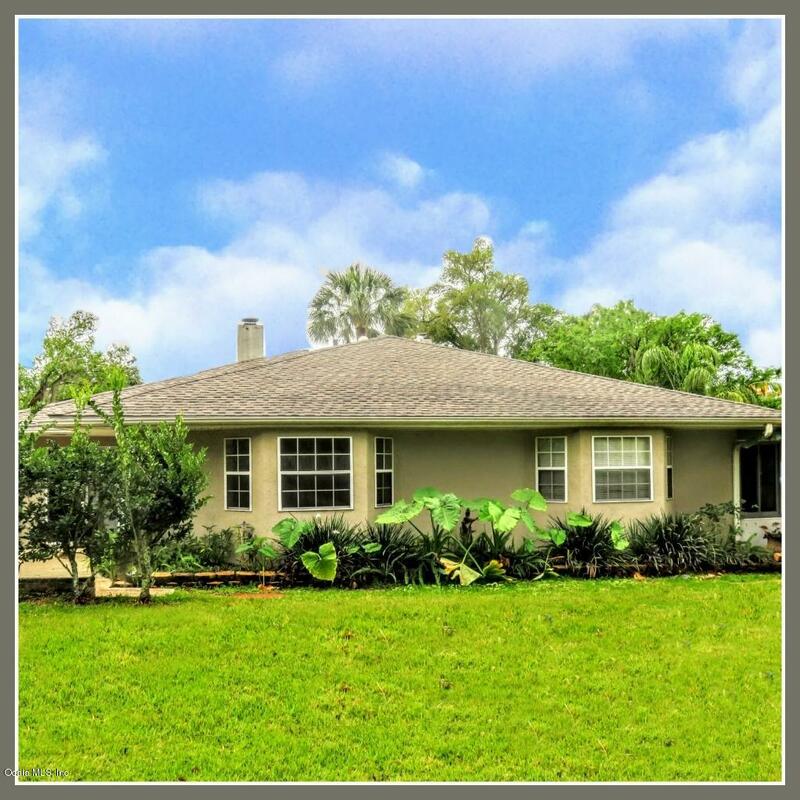 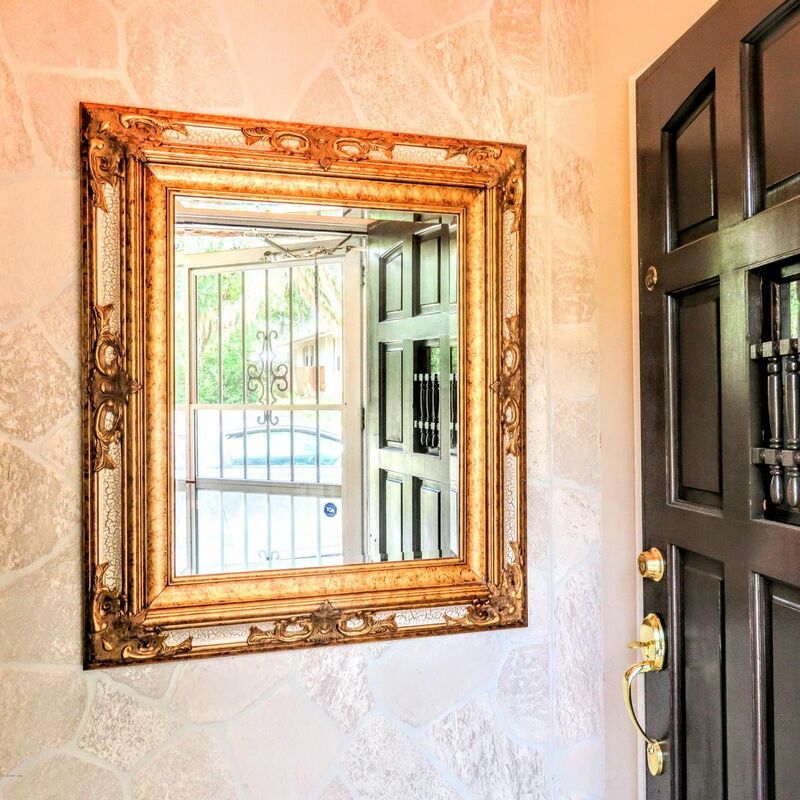 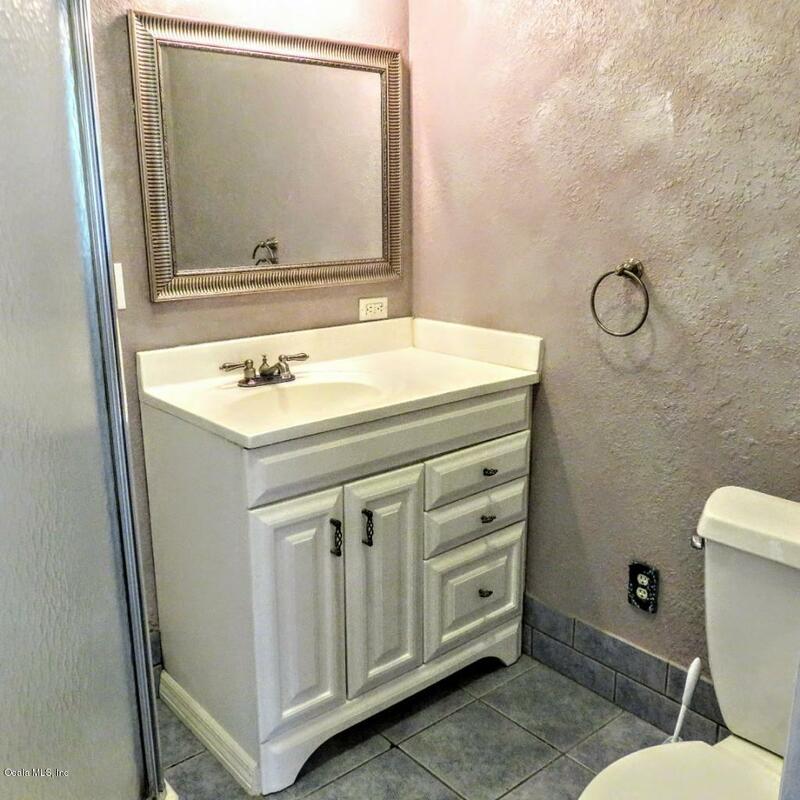 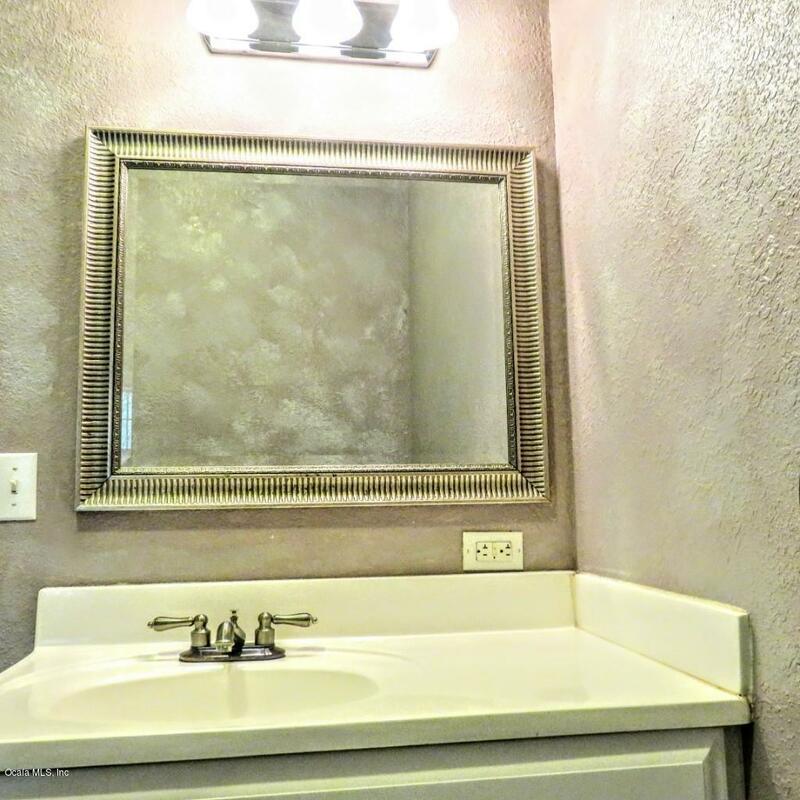 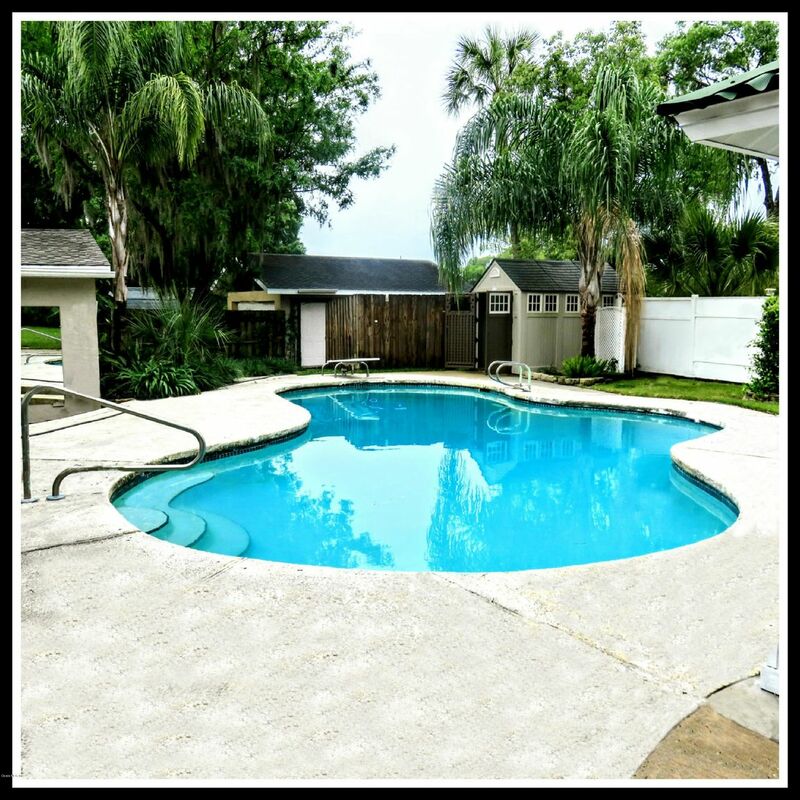 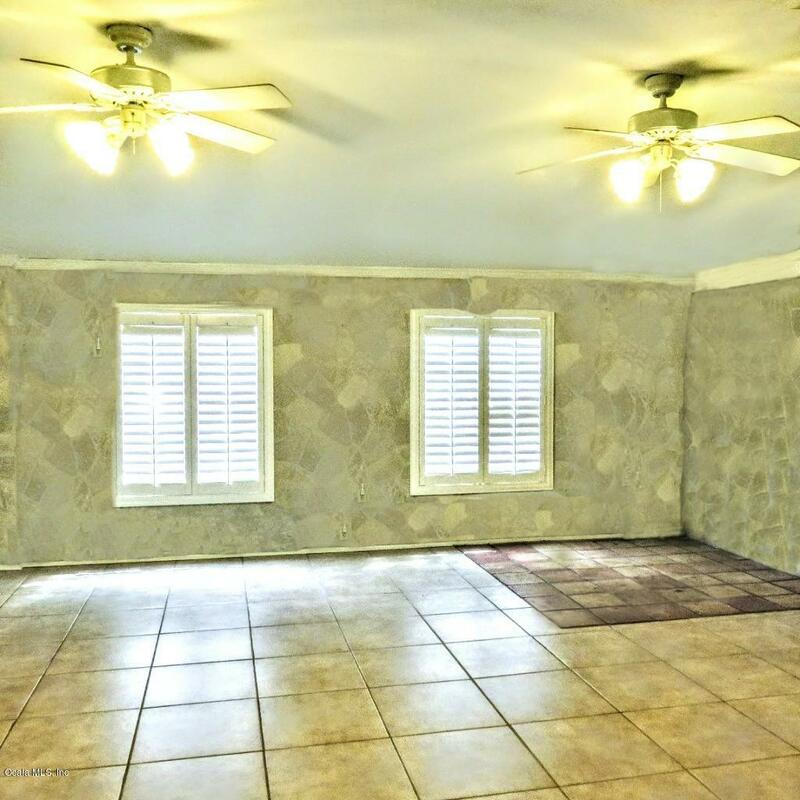 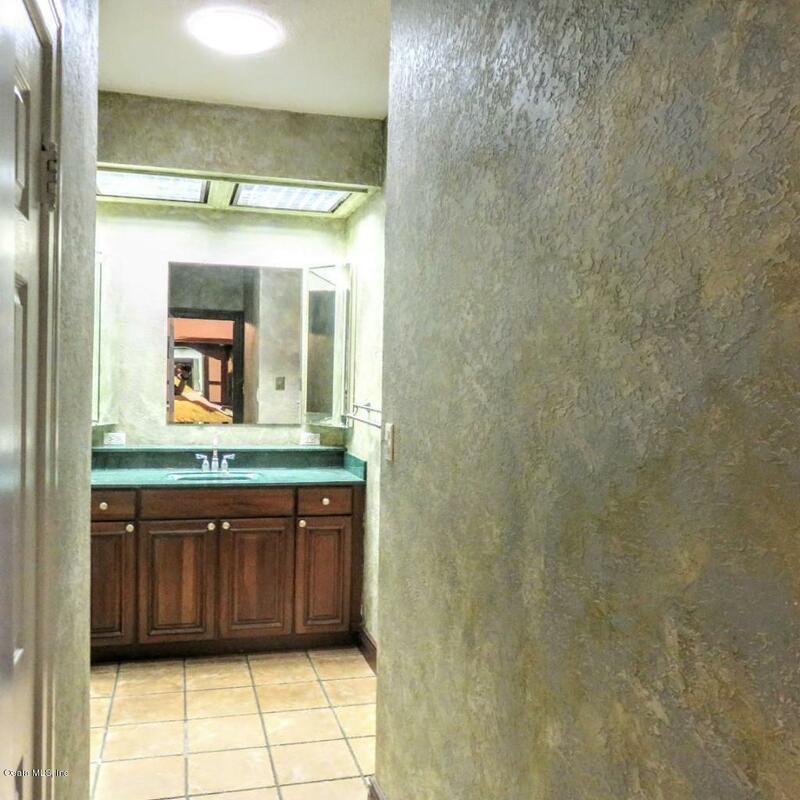 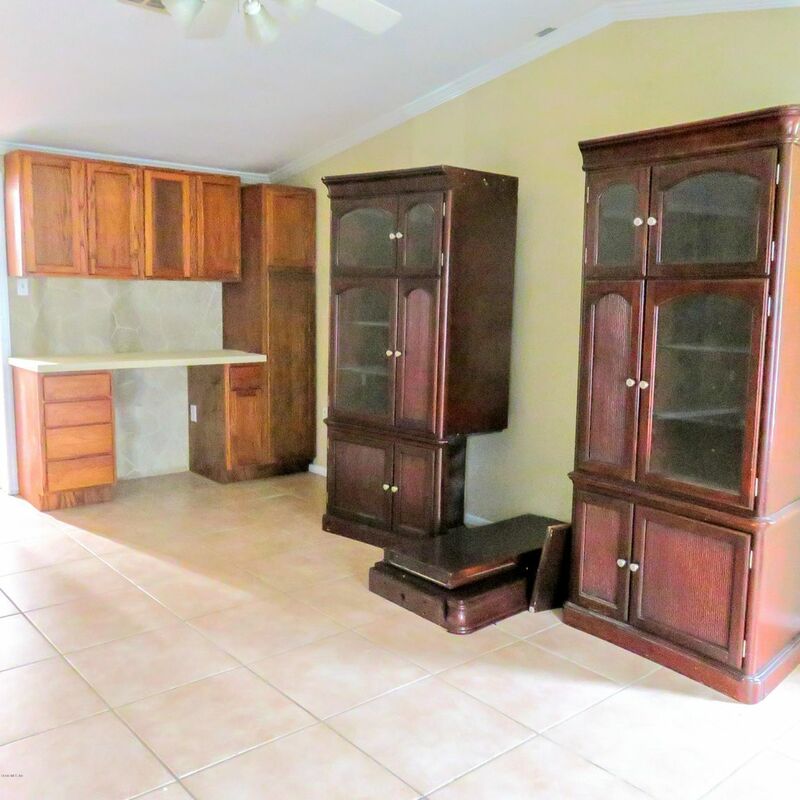 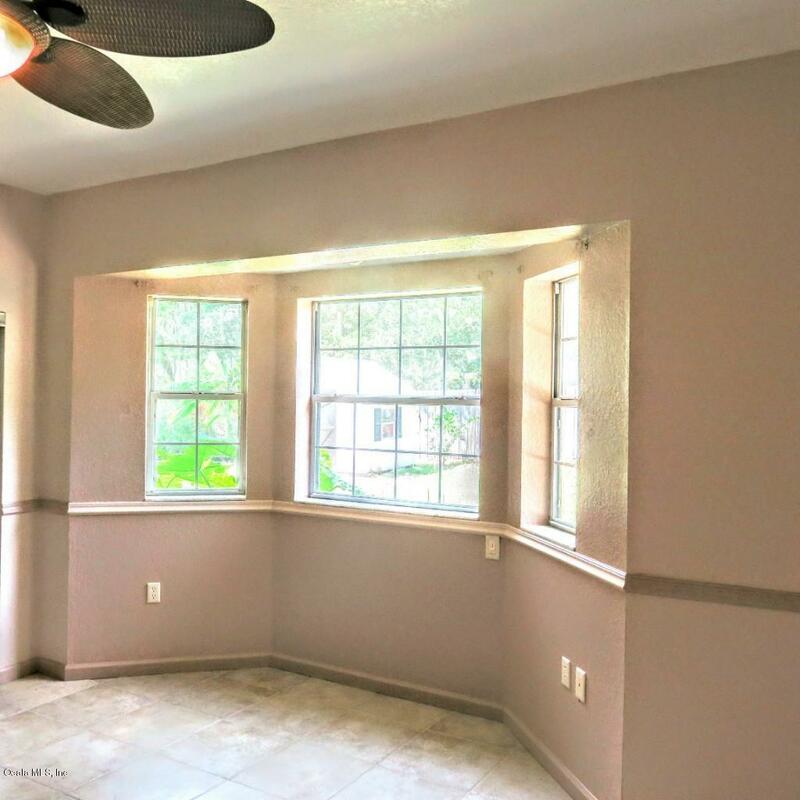 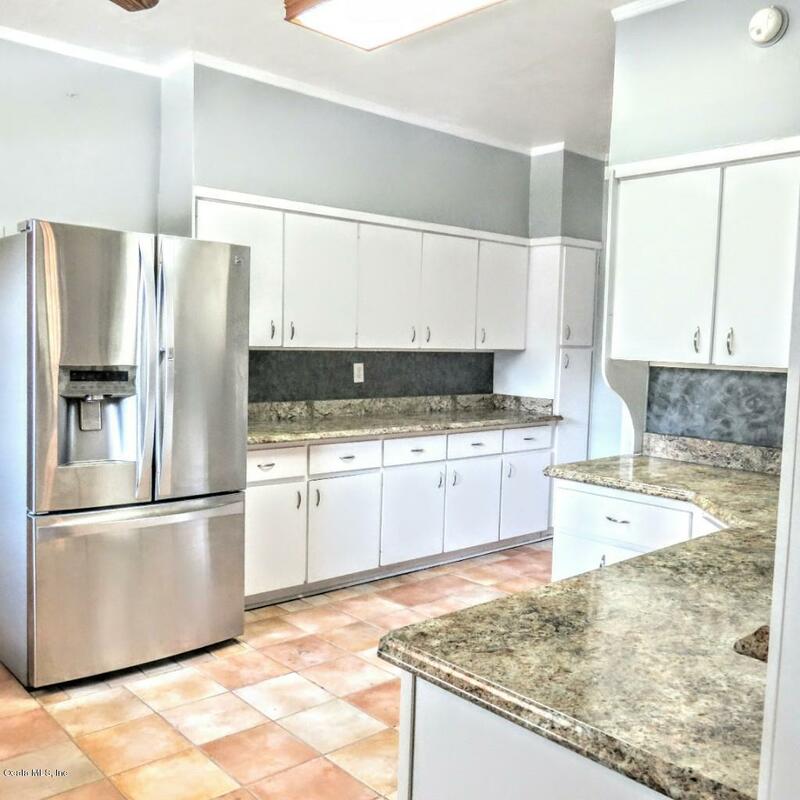 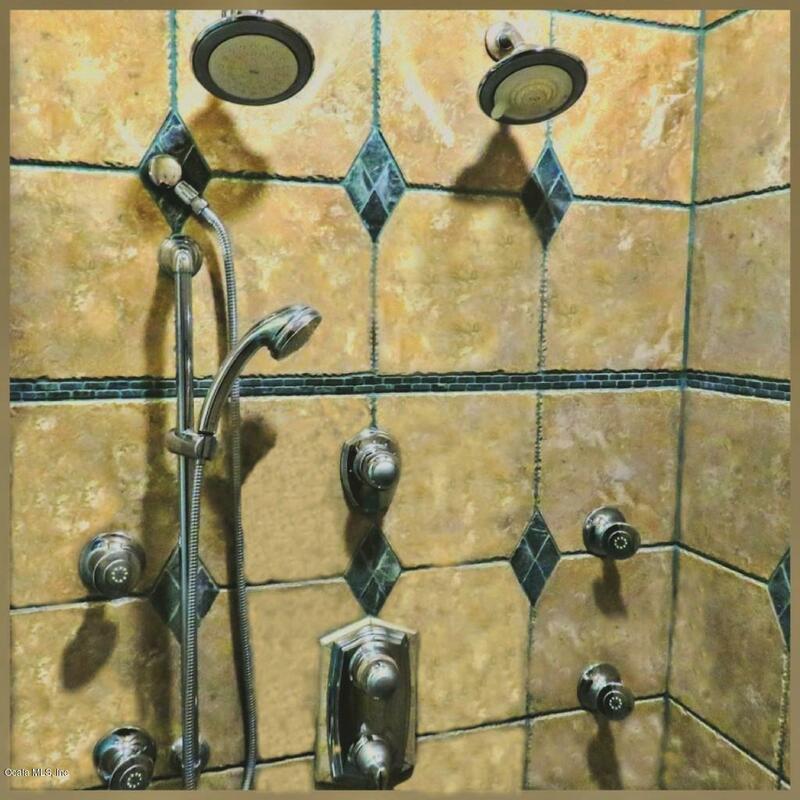 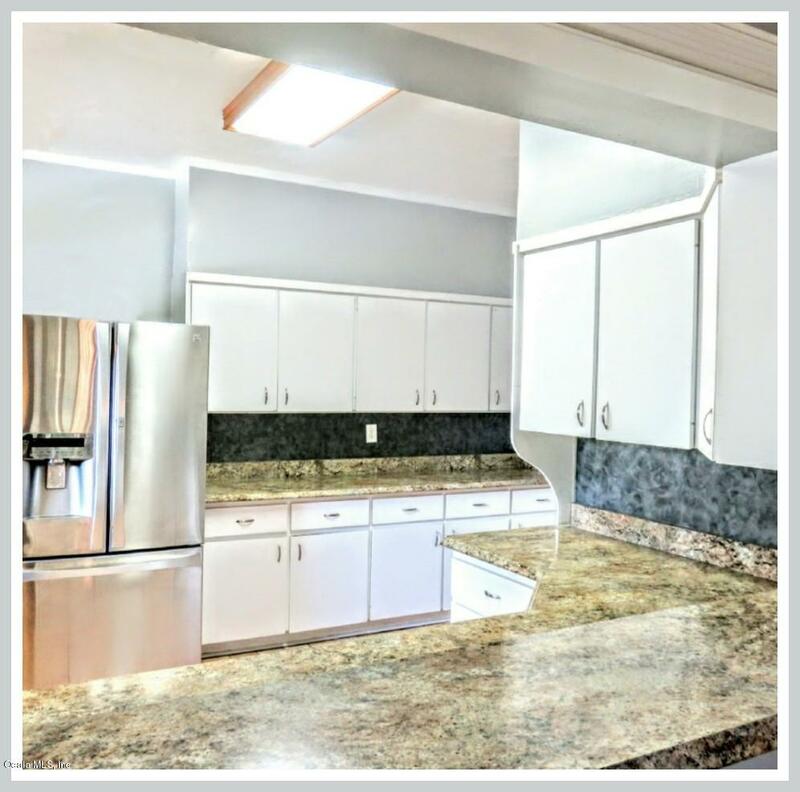 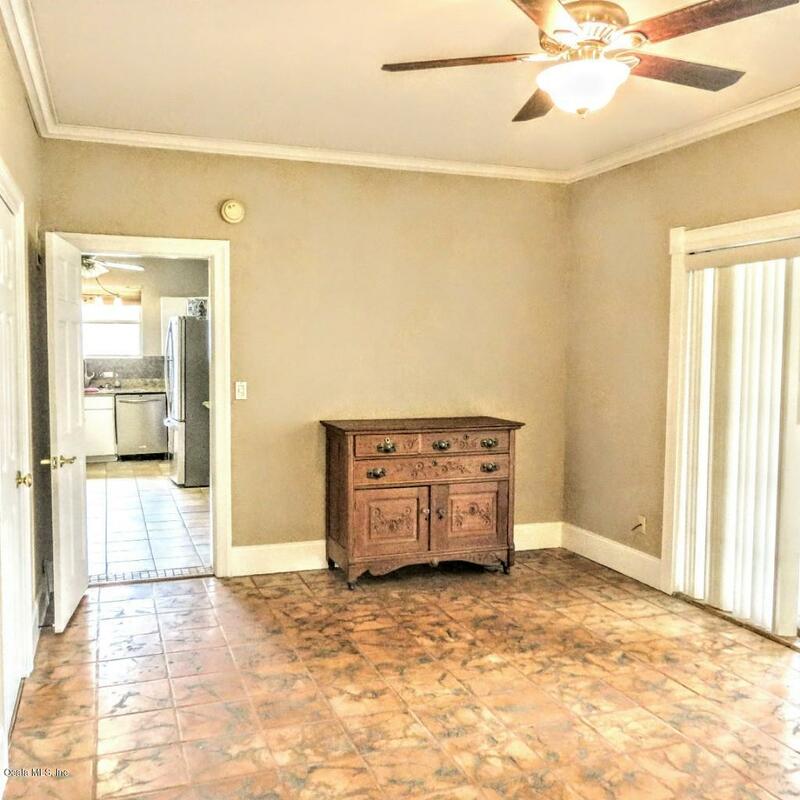 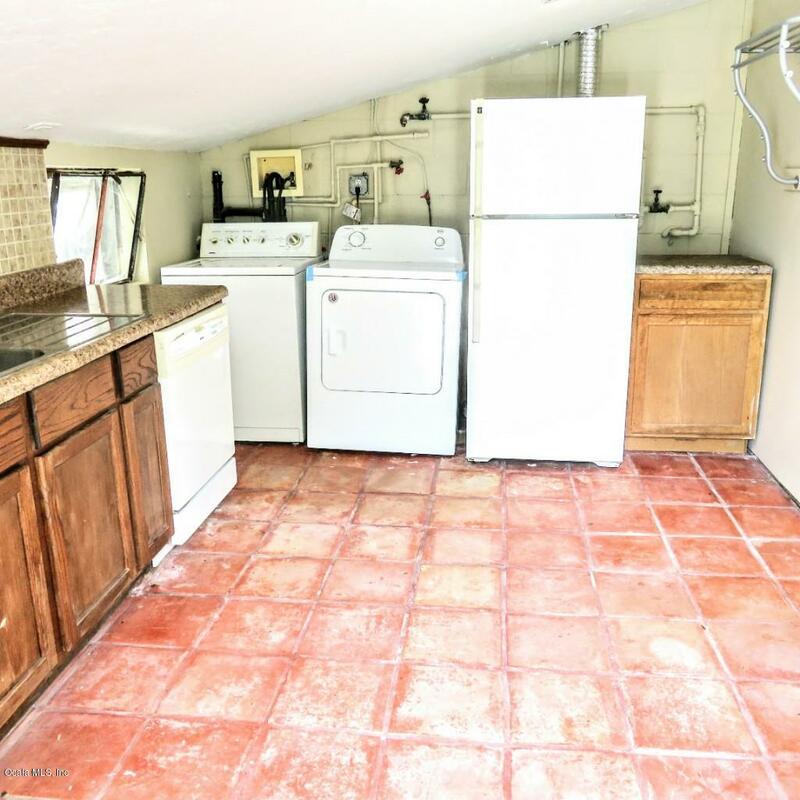 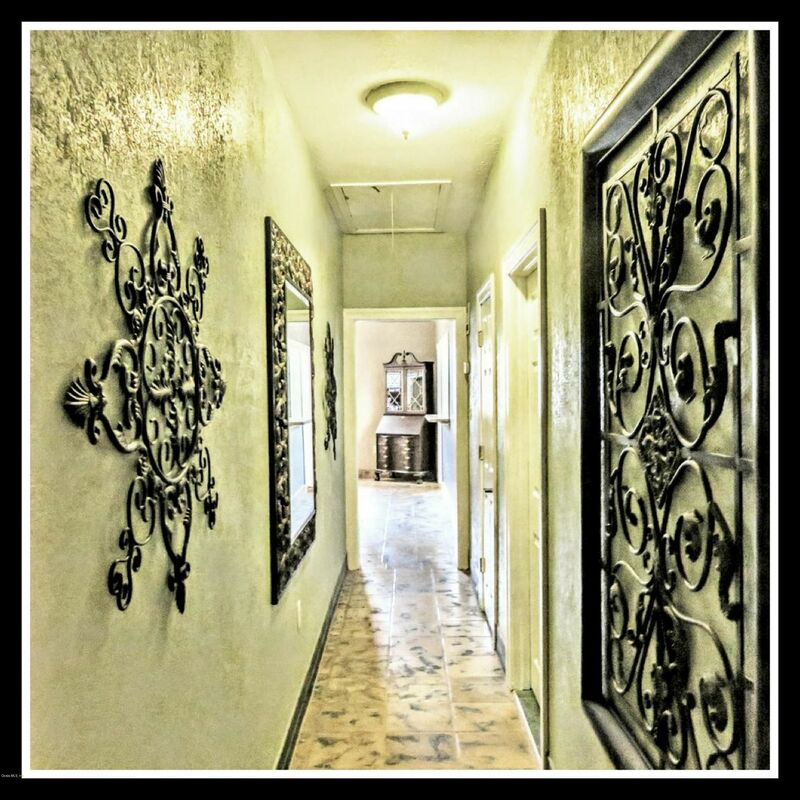 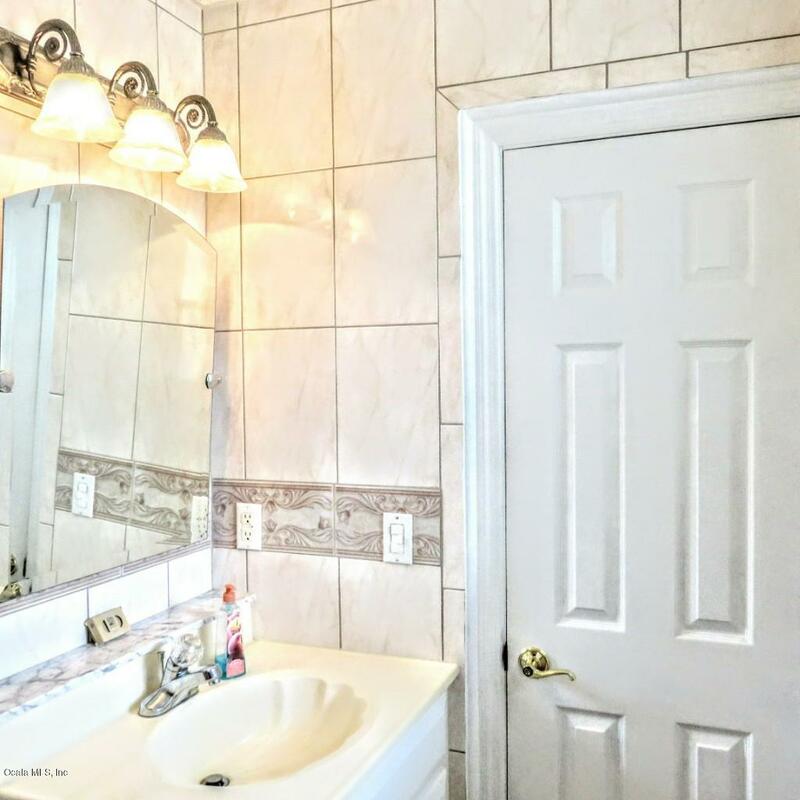 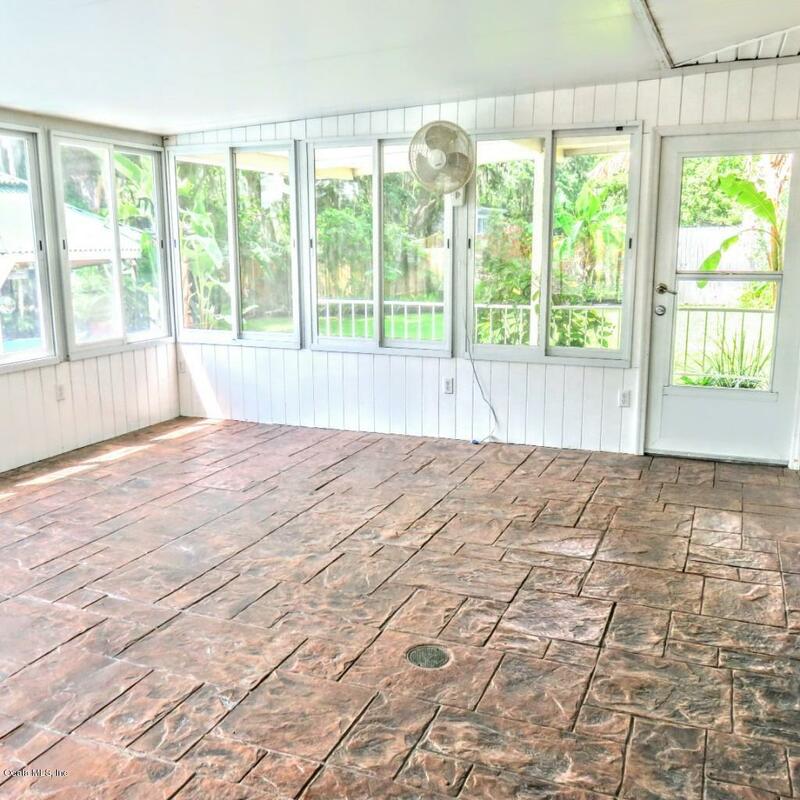 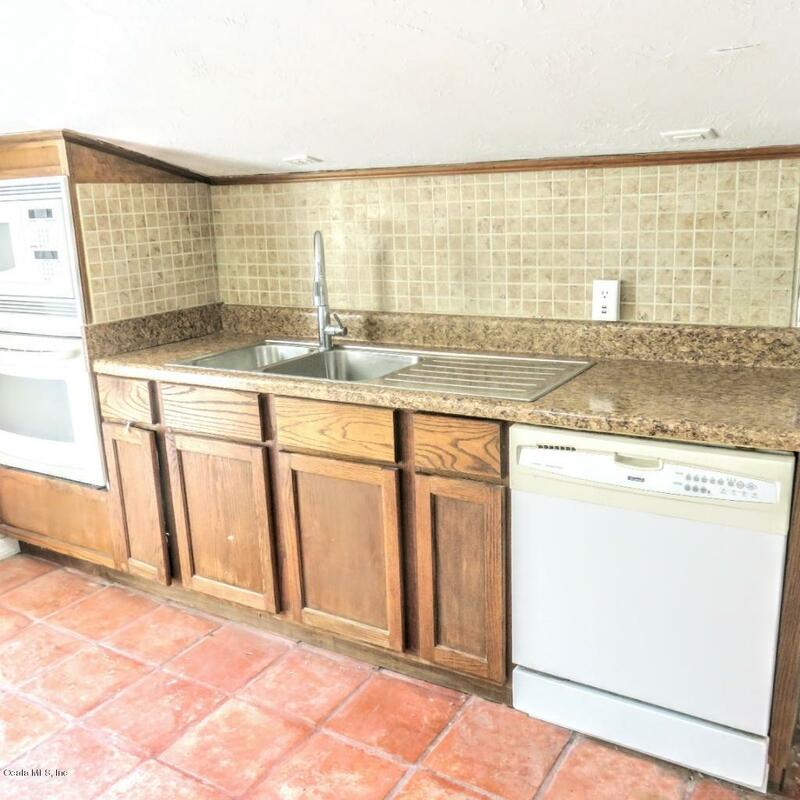 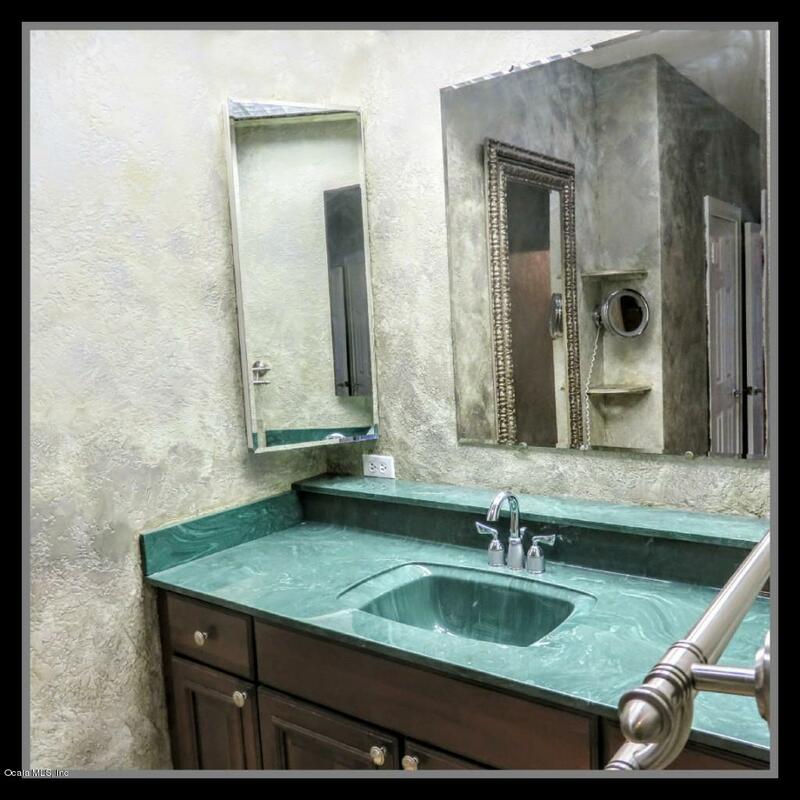 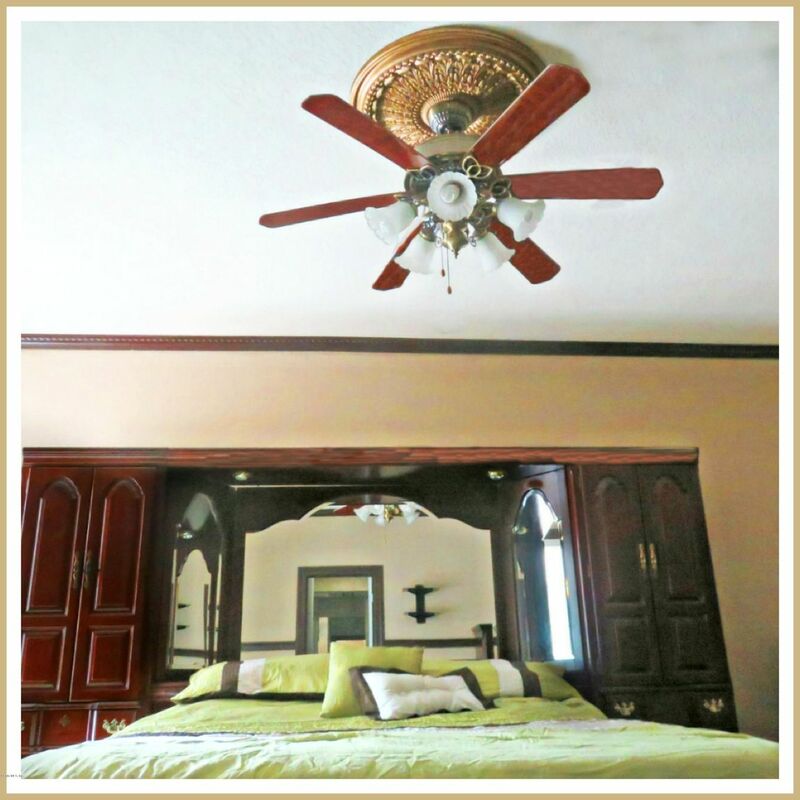 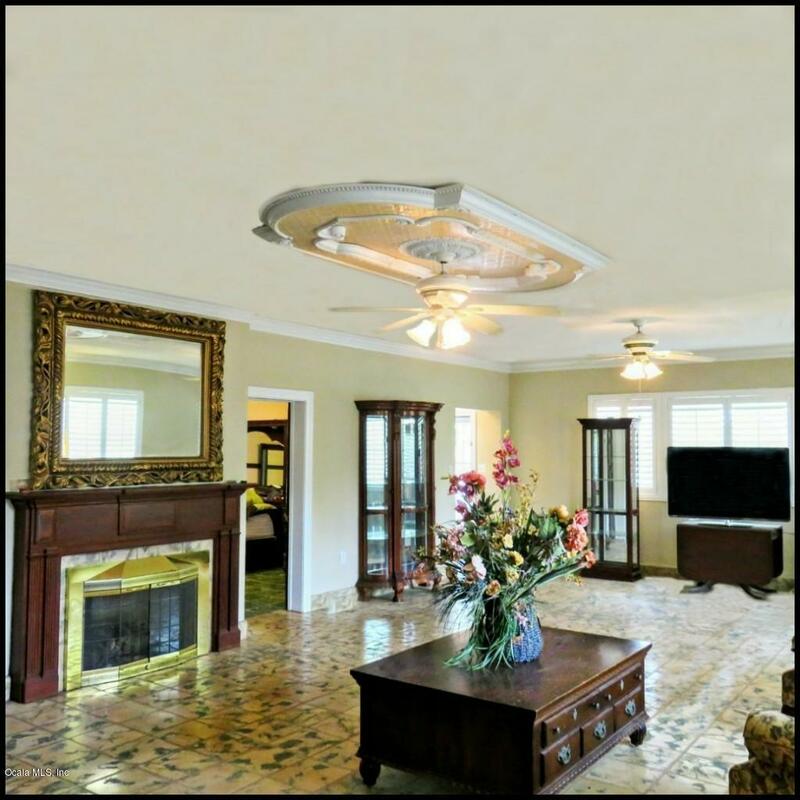 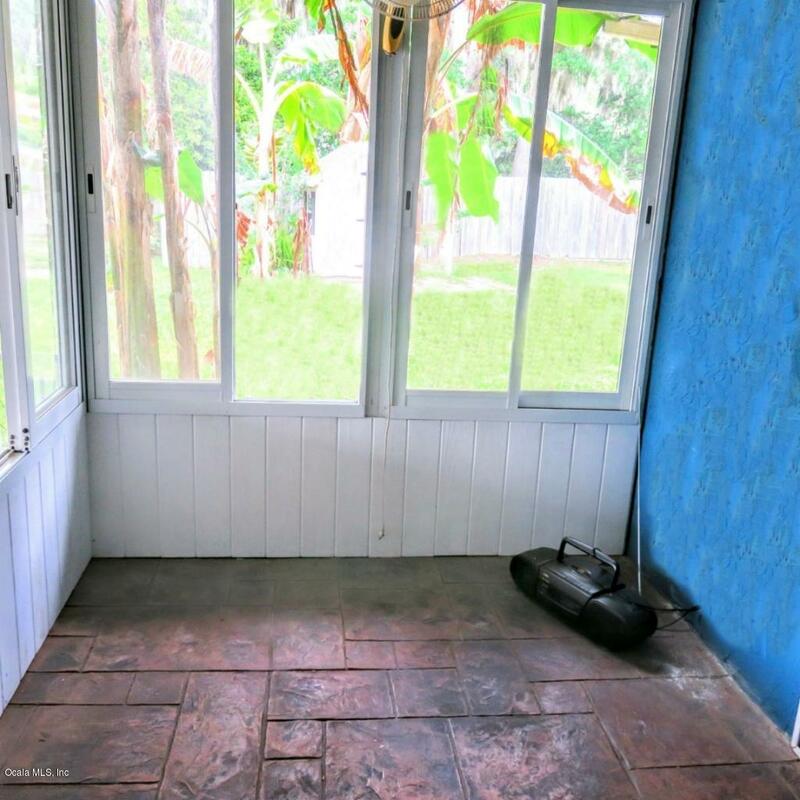 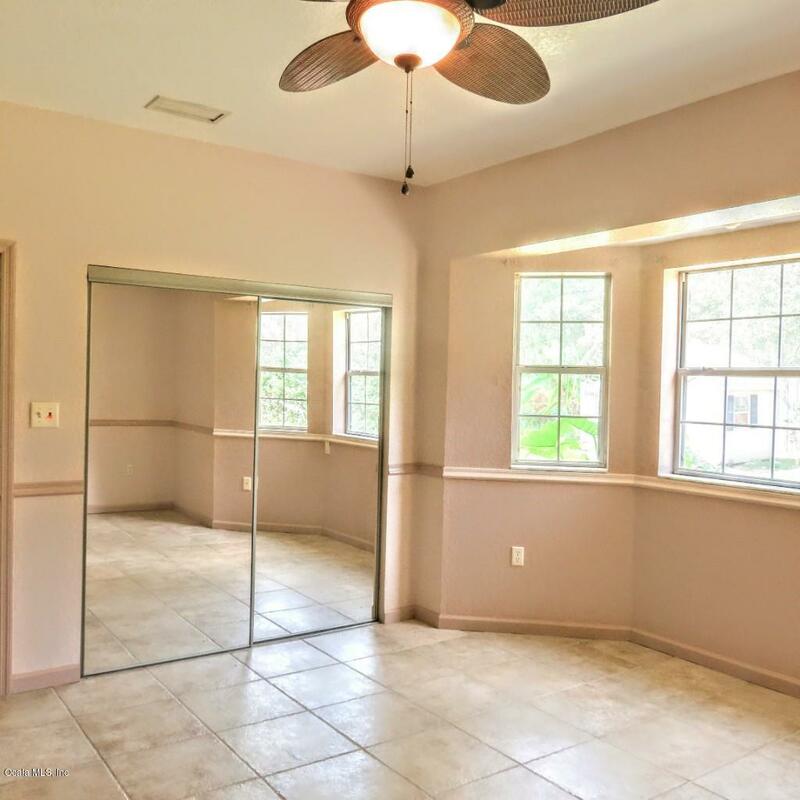 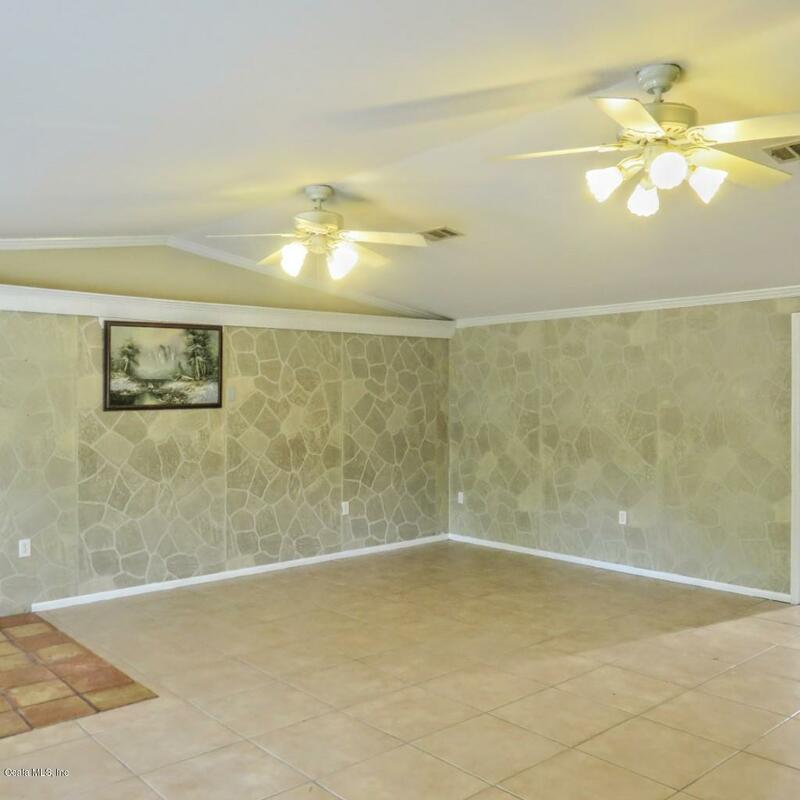 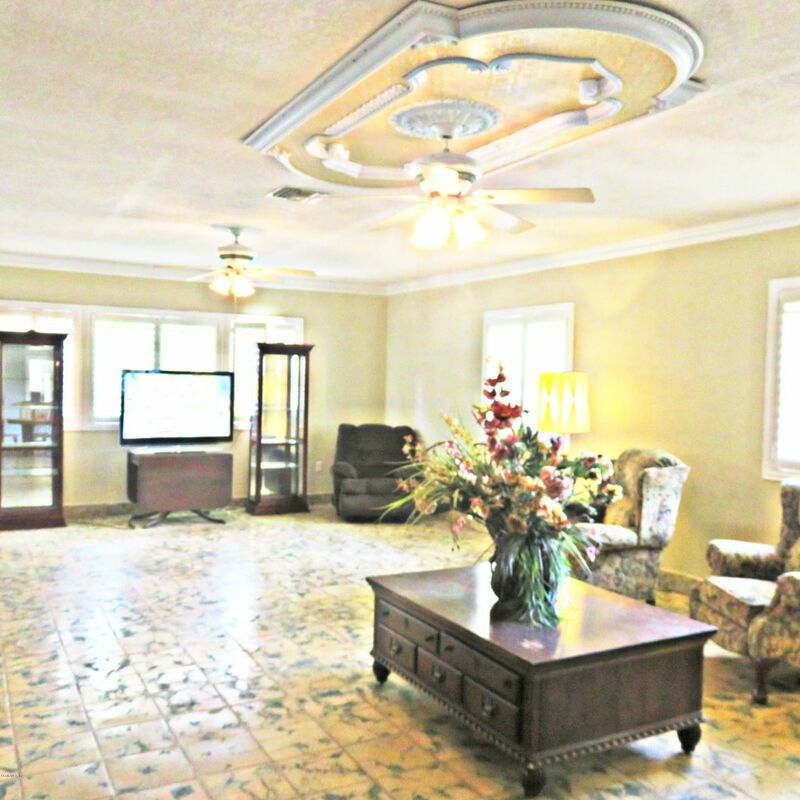 Old Ocala Estate home, large square footage, all tile floor but for 1 room, huge Master with private entrance to garden, stylish Master Bath with walk around double closet. 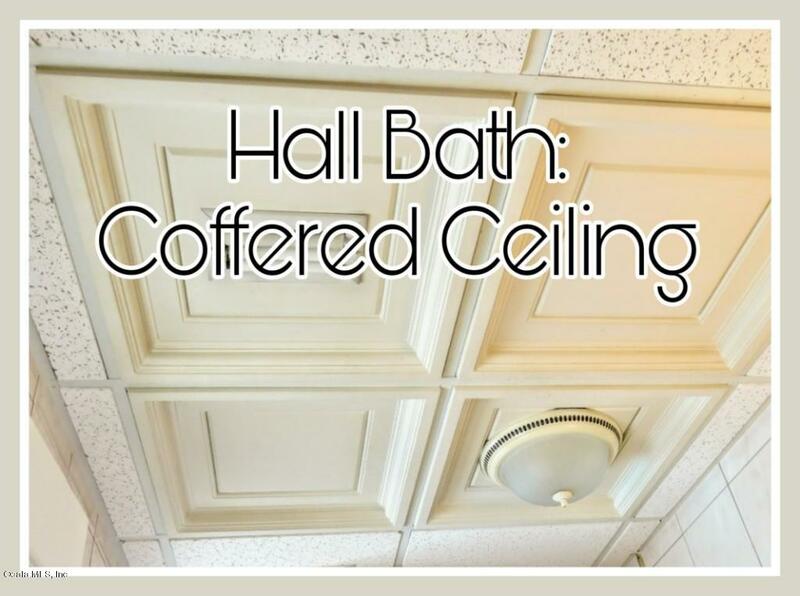 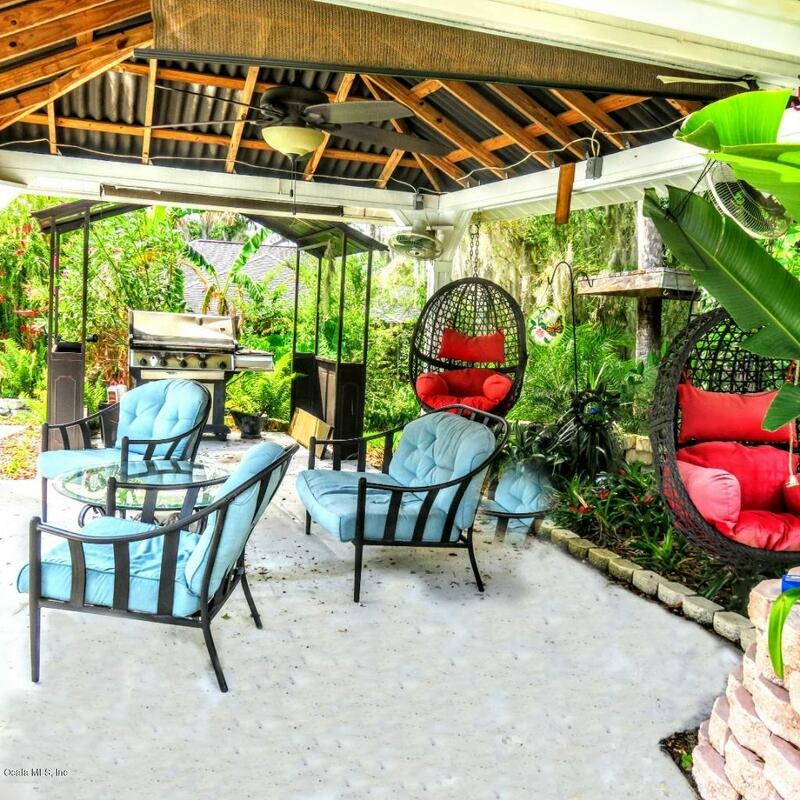 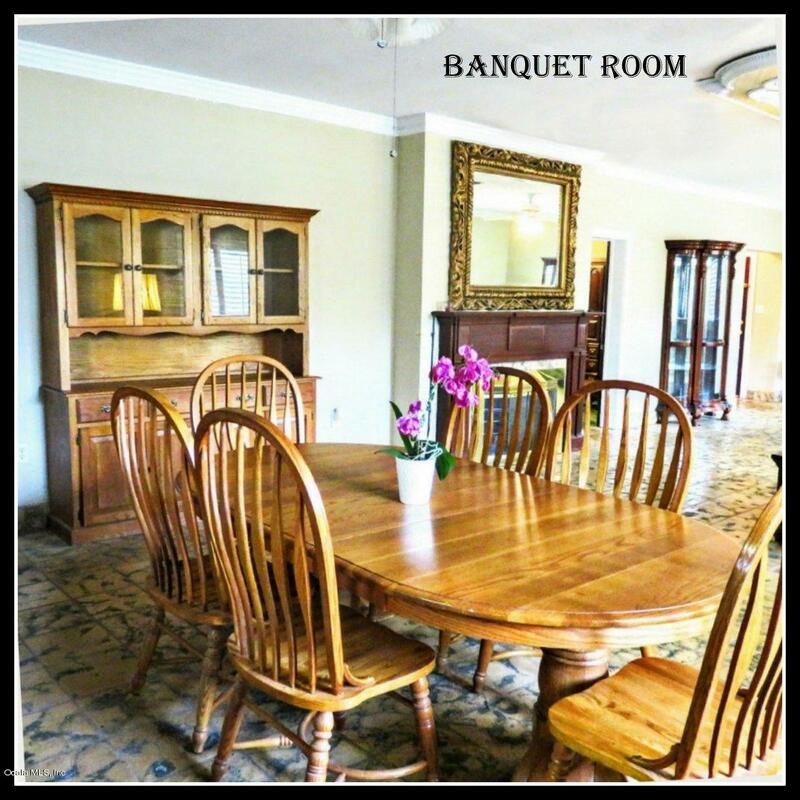 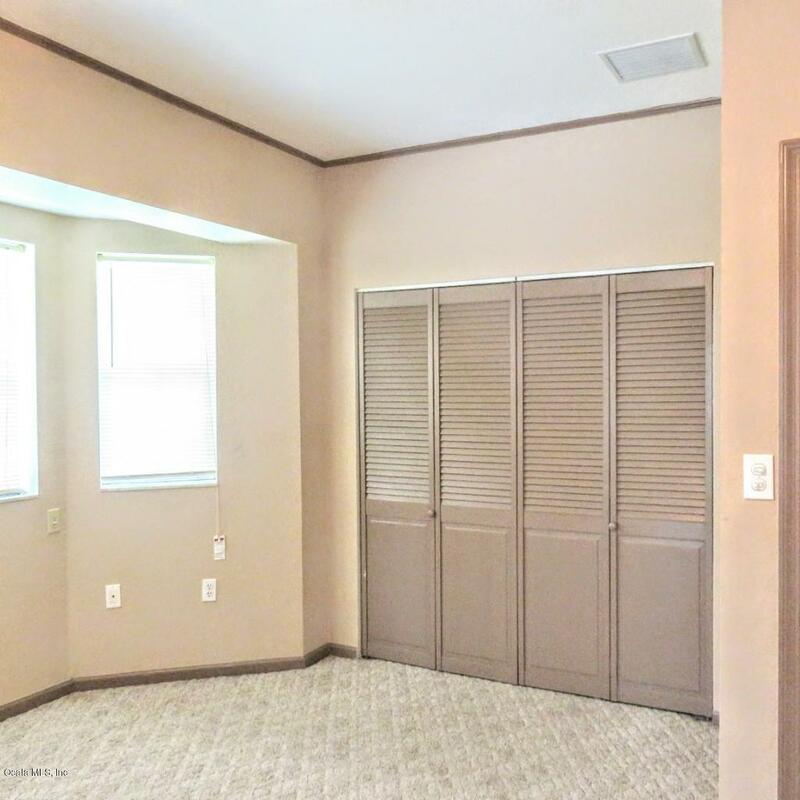 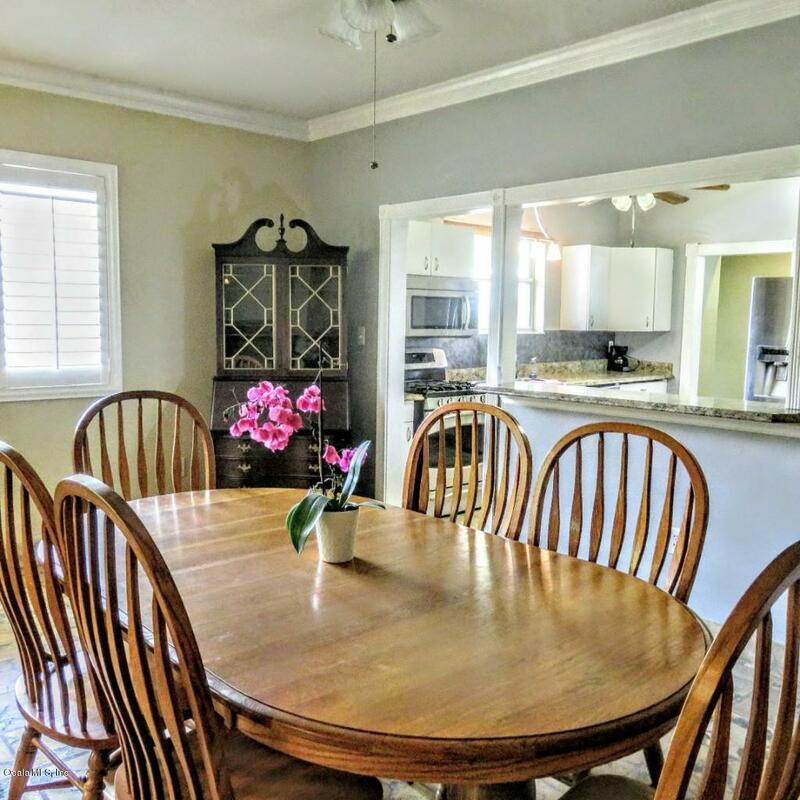 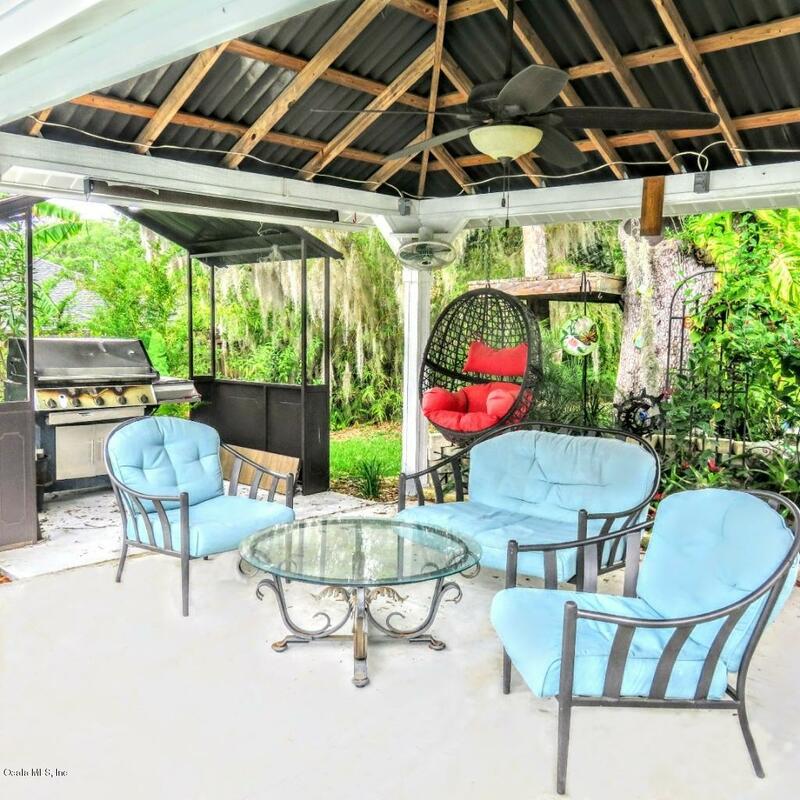 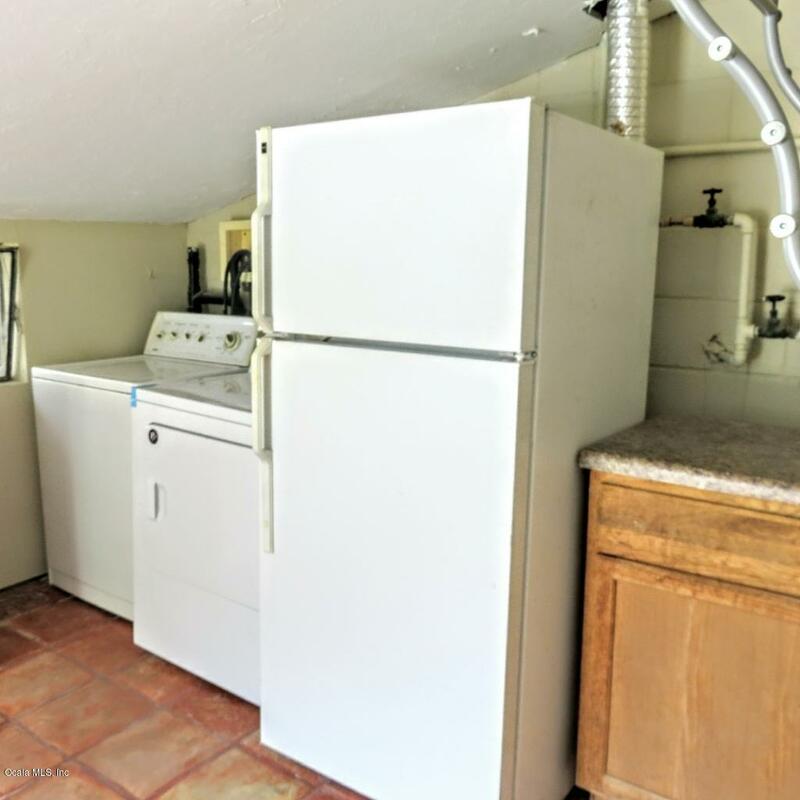 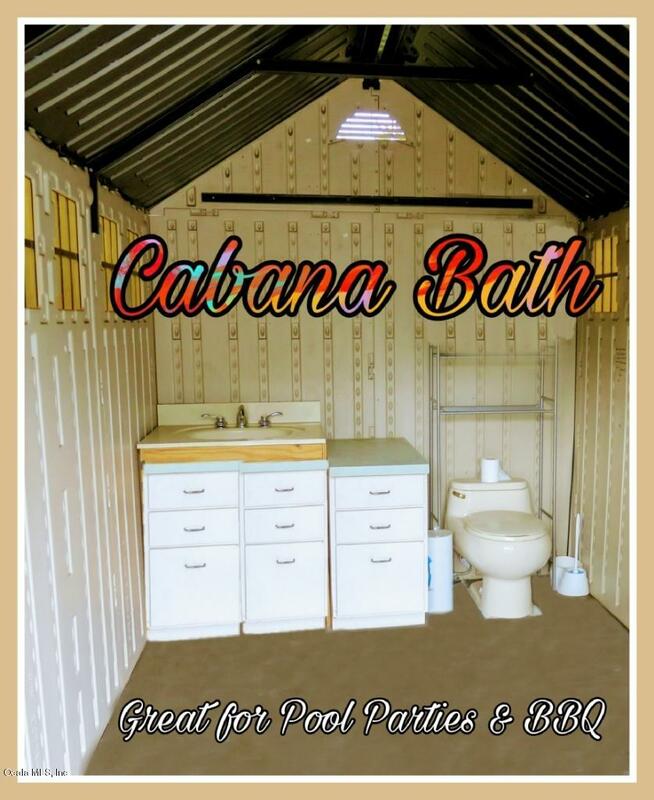 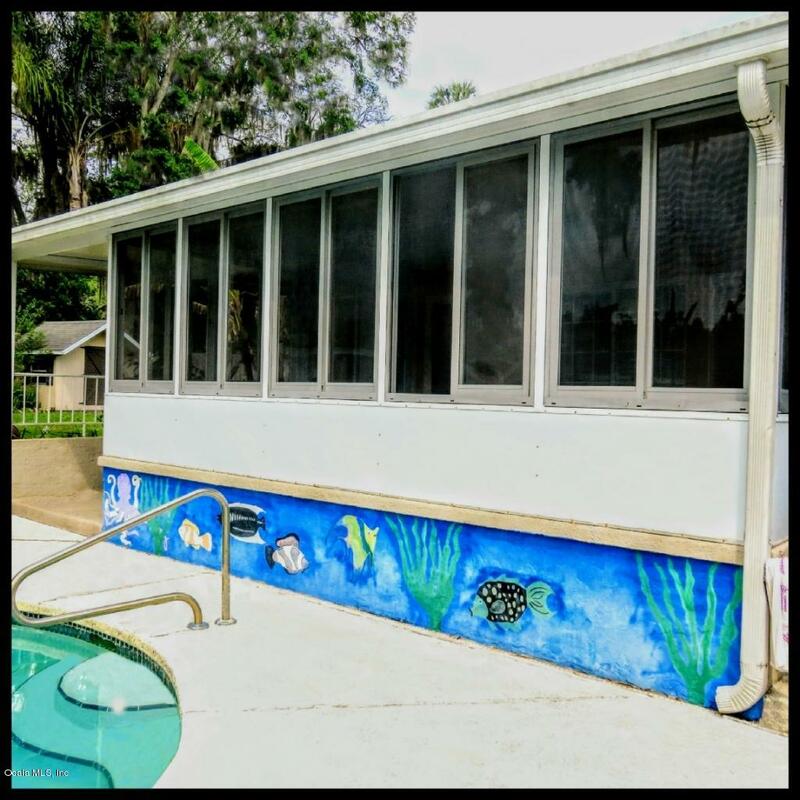 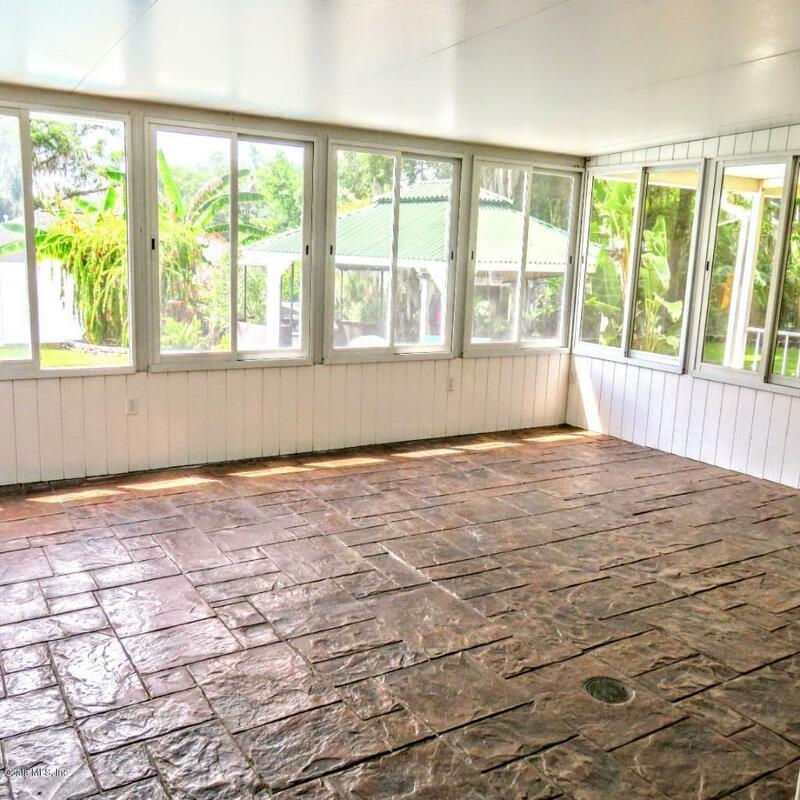 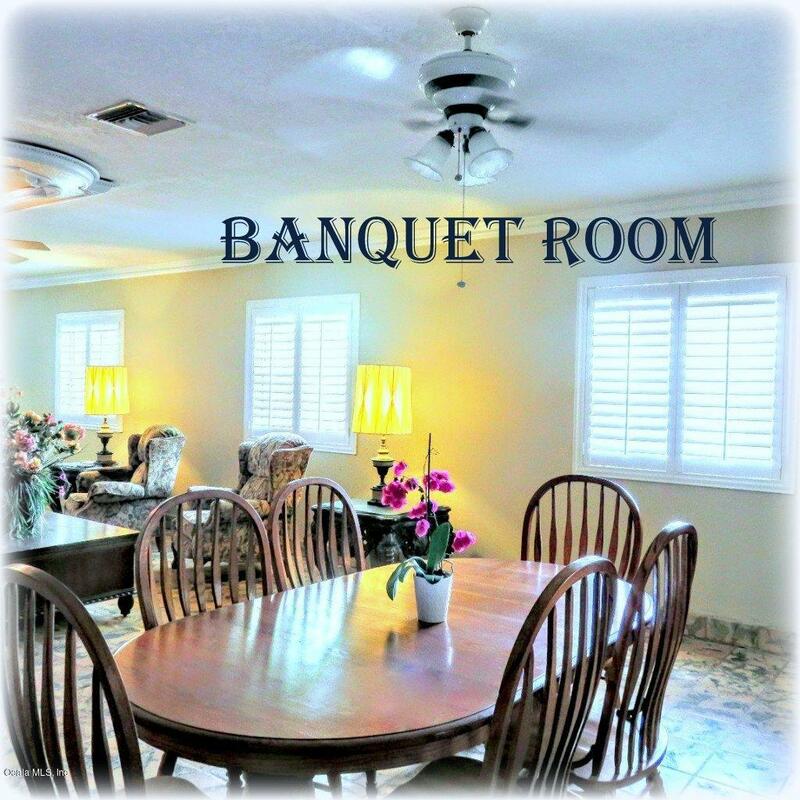 Large Banquet room adjoining the dining area, updated and modern Kitchen, attic fan, glassed in Lanai and open patio lead to green metal roof gazebo adjacent to large and deep in-ground salt pool with full cabana bath. 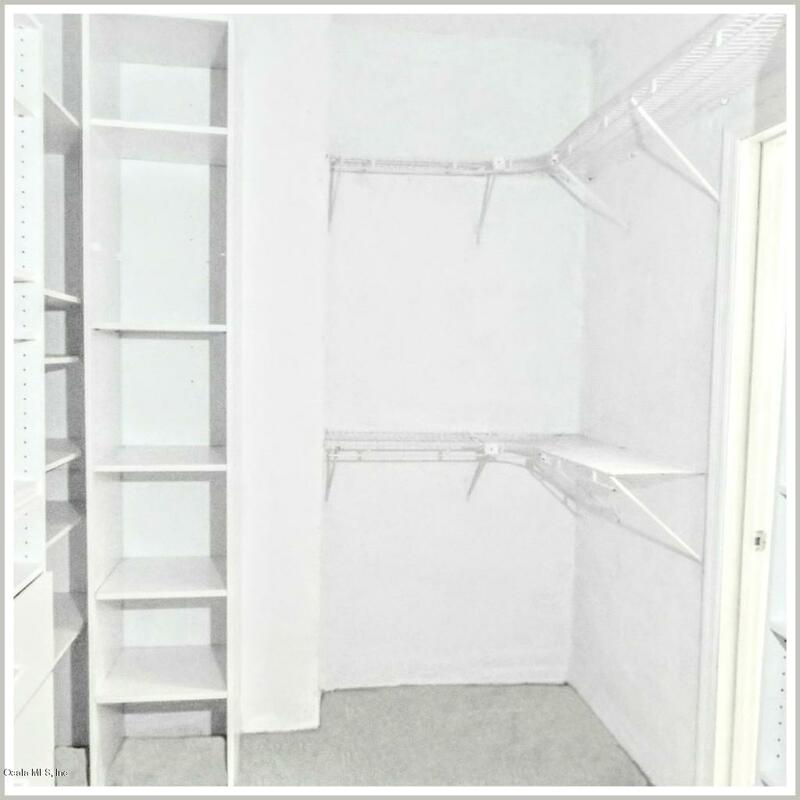 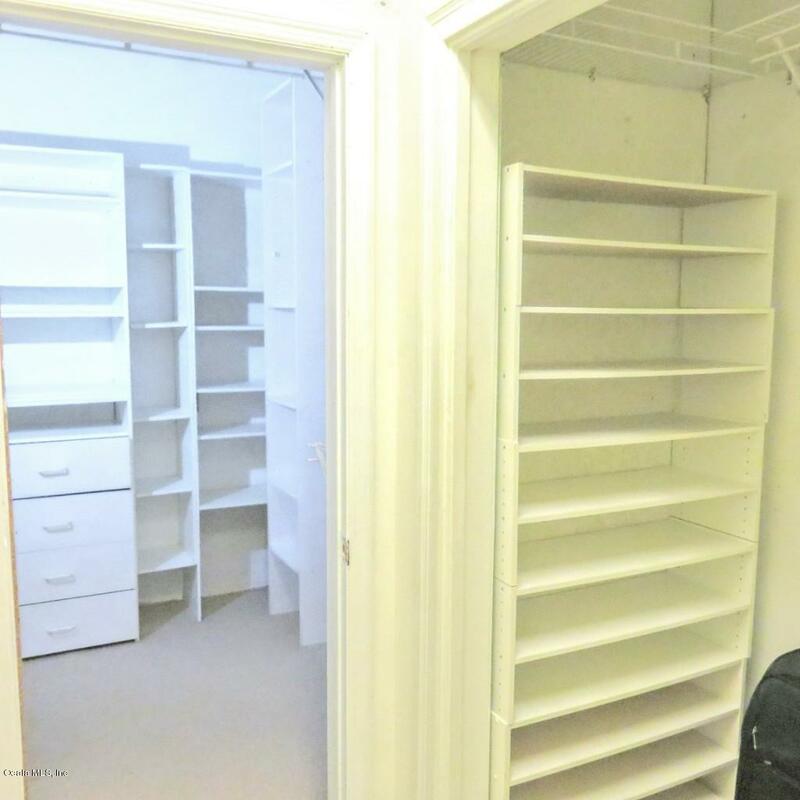 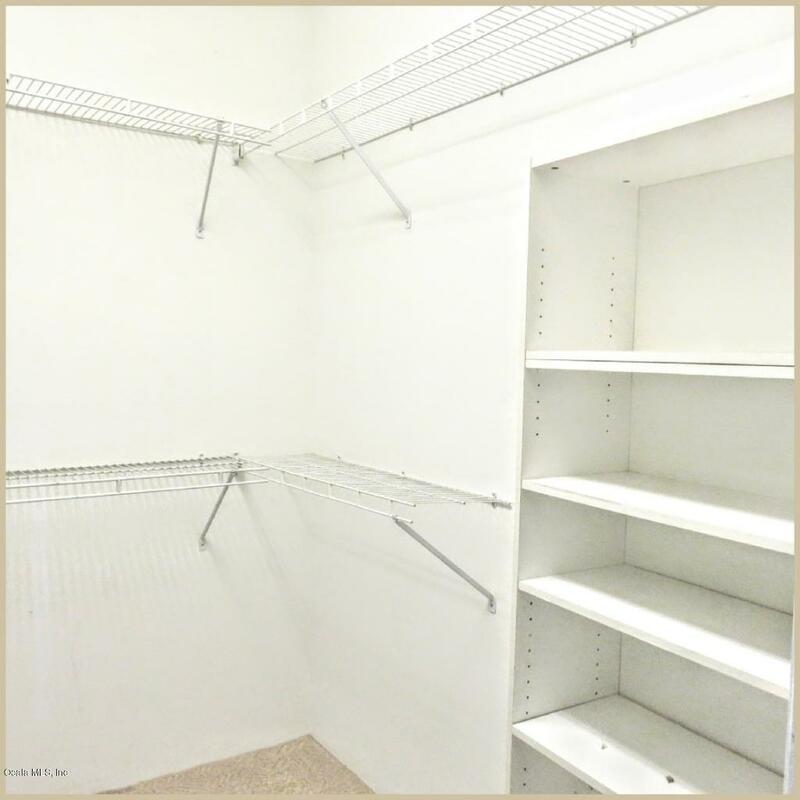 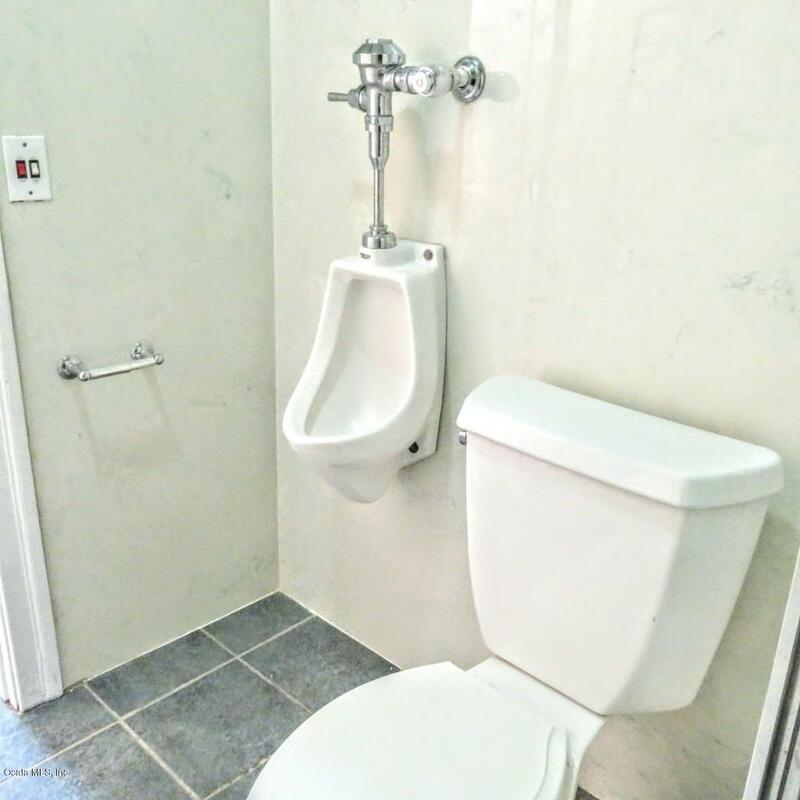 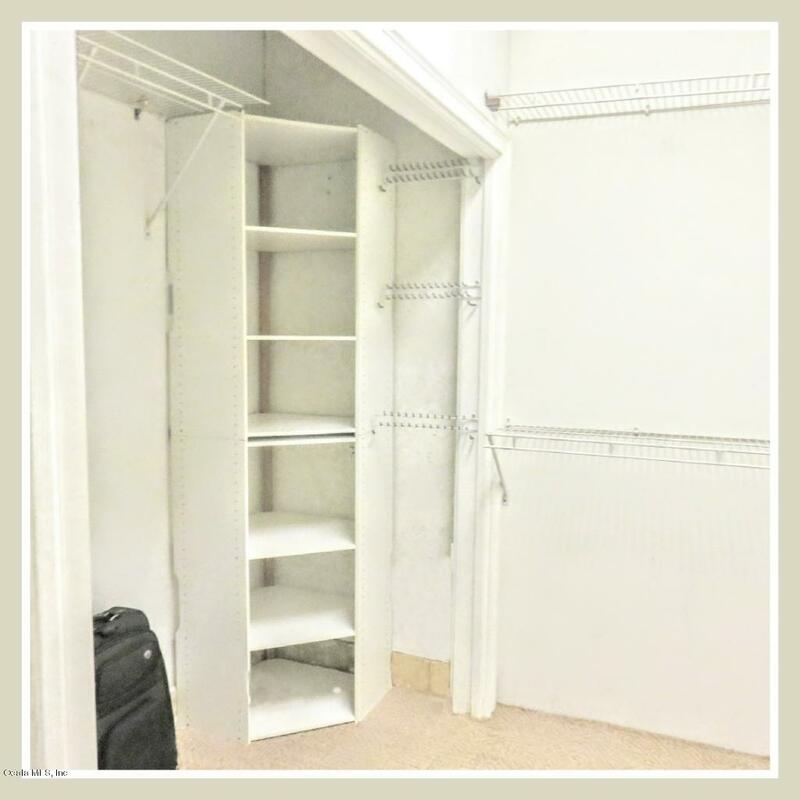 In-Law apartment or man cave, your choice of living with full kitchen. 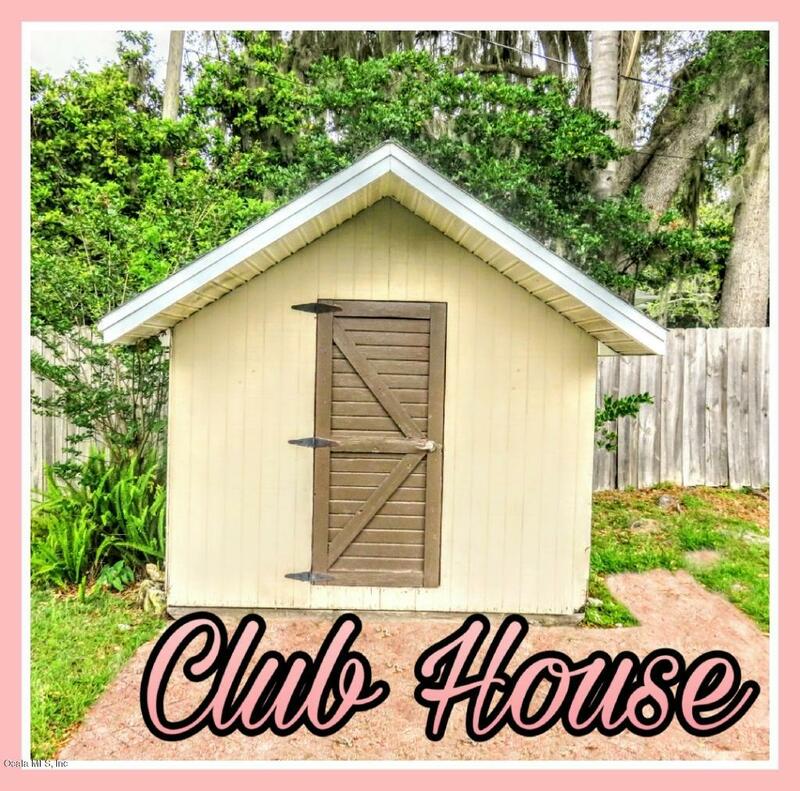 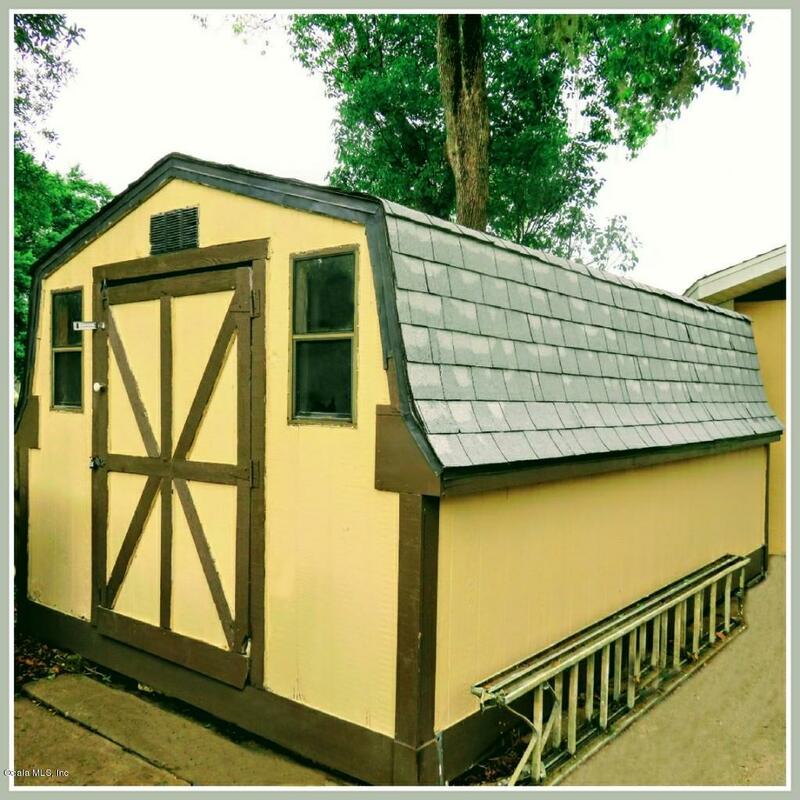 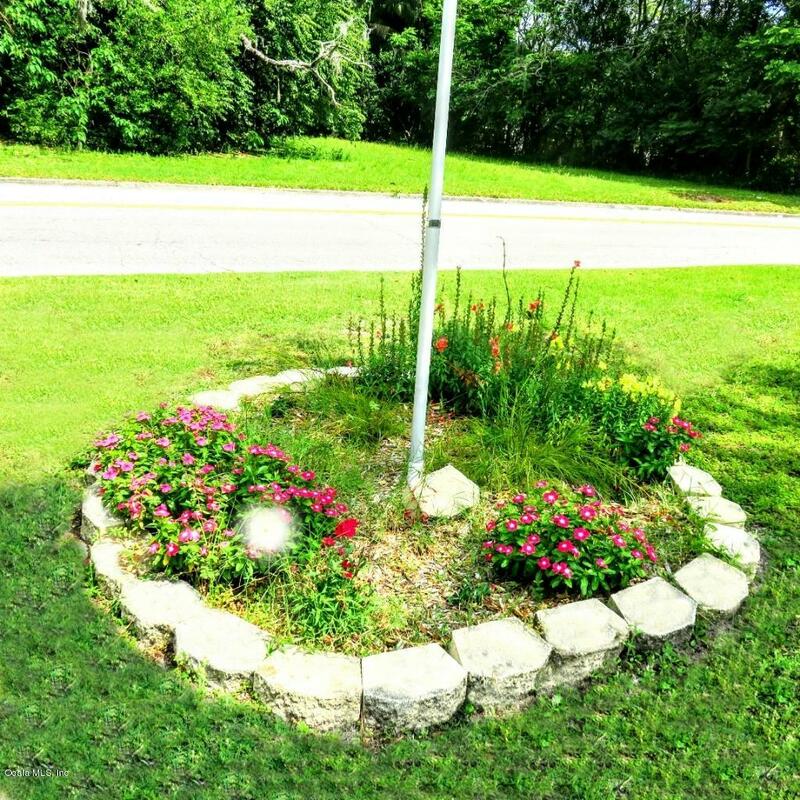 Two car garage, utility shed and dollhouse on enclosed with privacy wood fence, circle drive with electric gate entrance to compound. 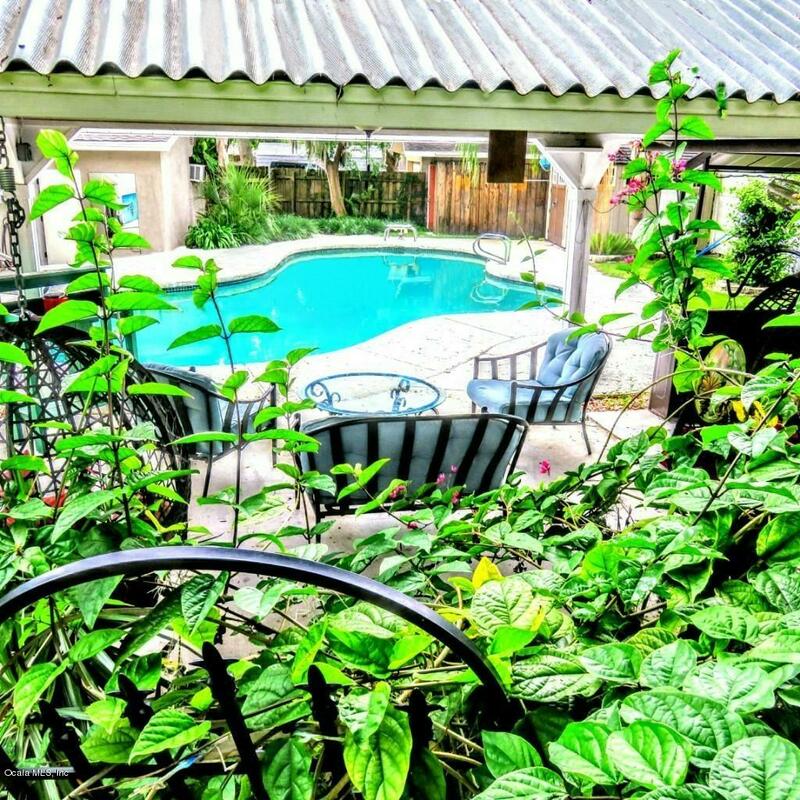 Roof 3 months old and pool equipment 4 years old.